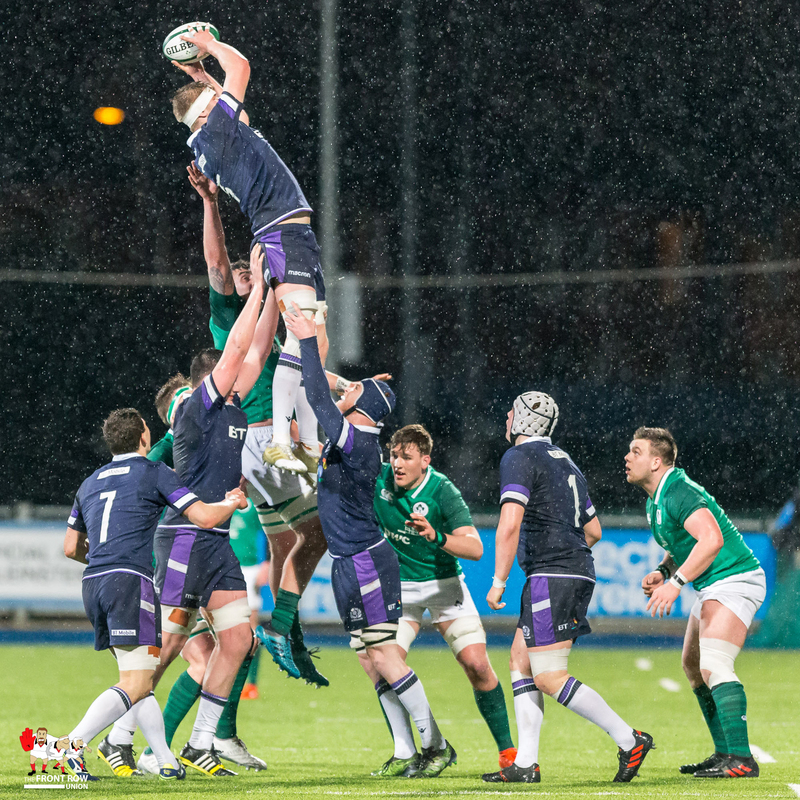 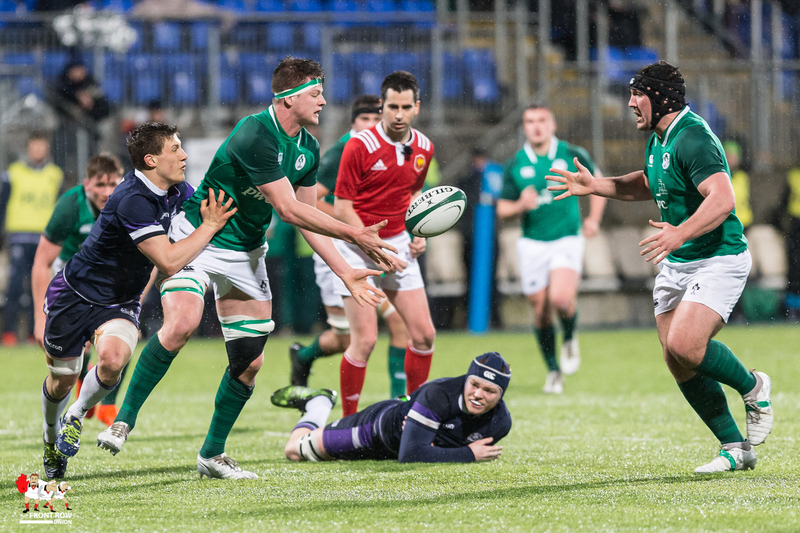 Banbridge's Tom O'Toole leads an Irish charge against Scotland. 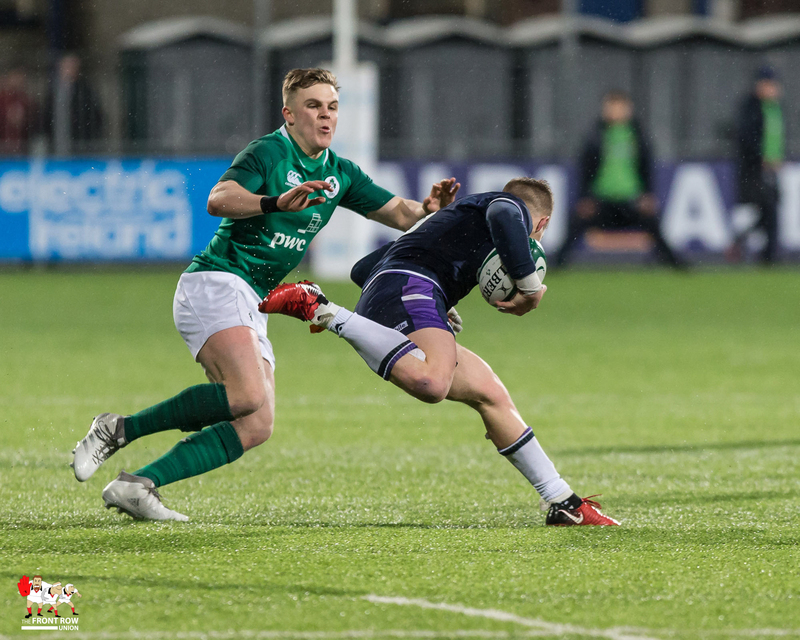 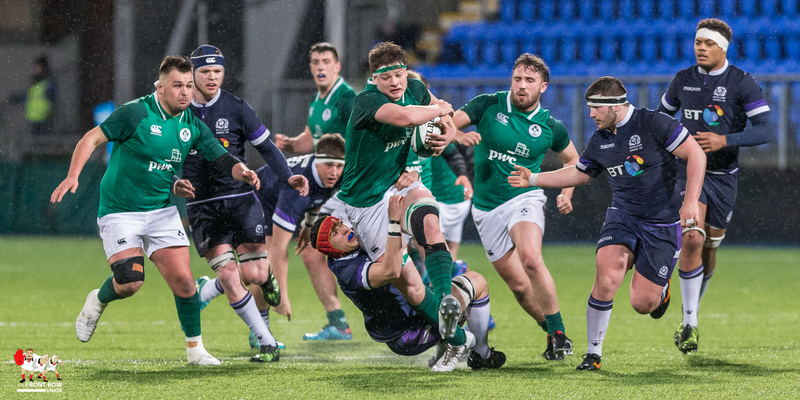 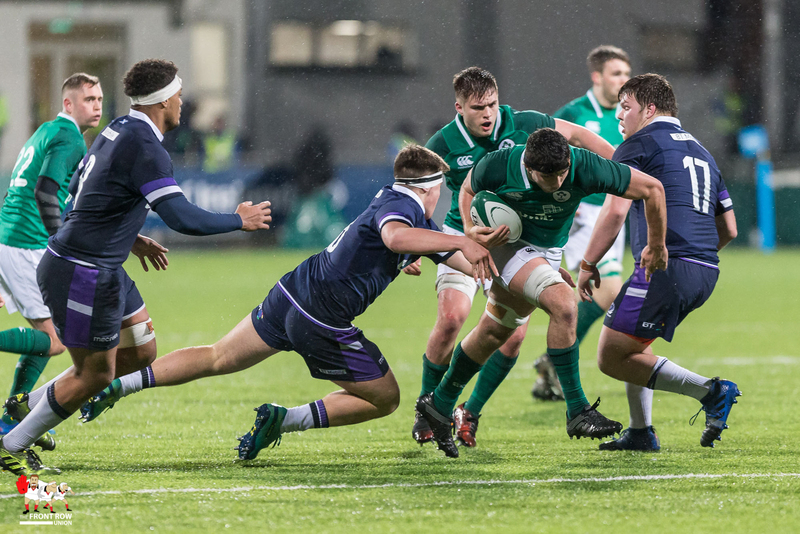 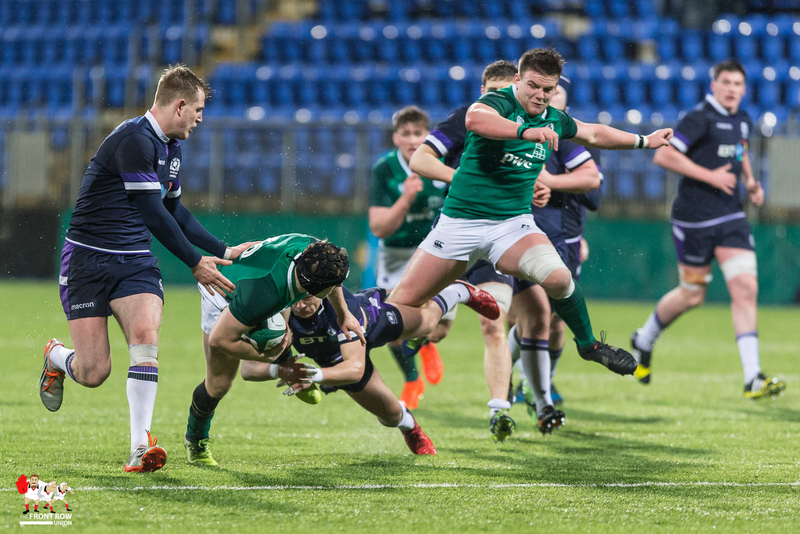 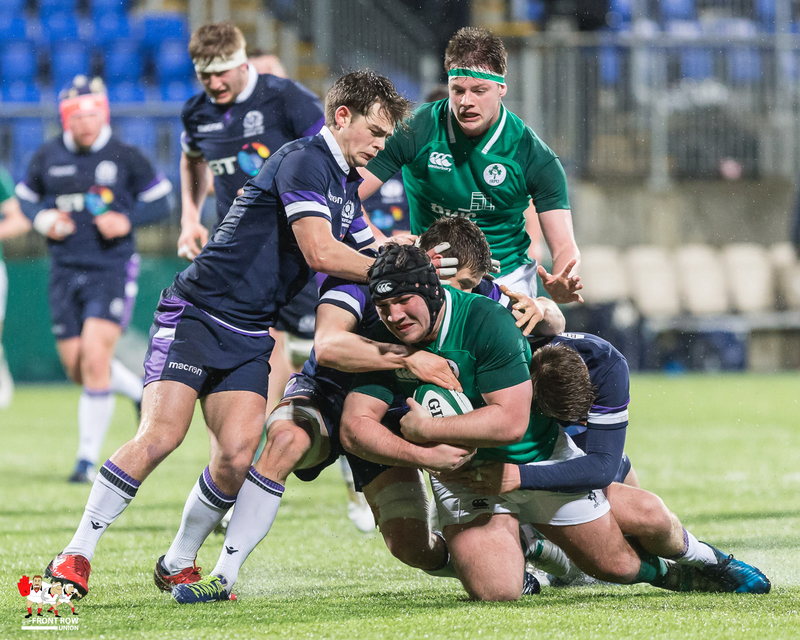 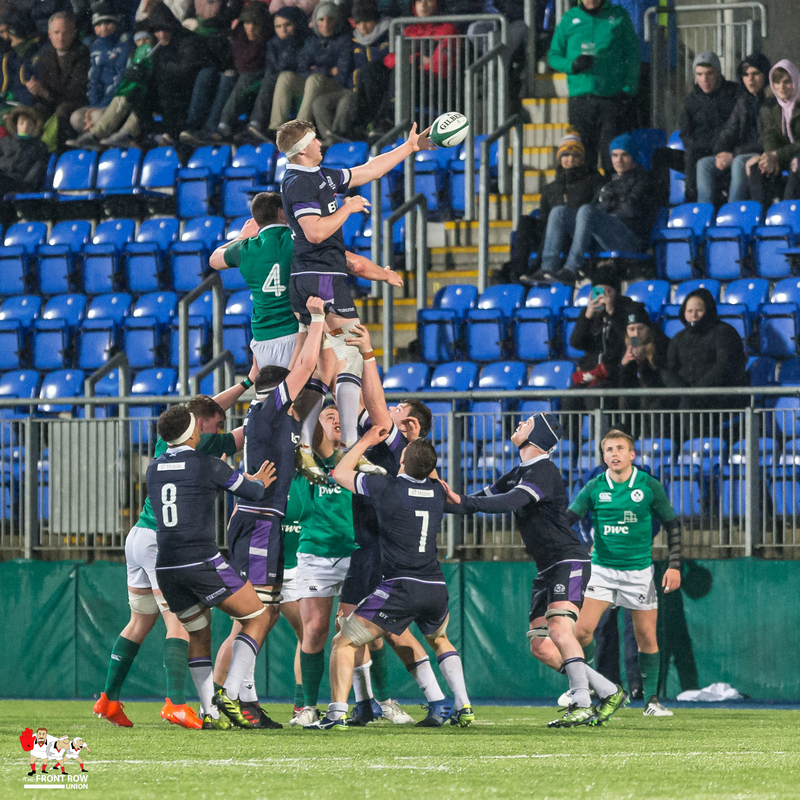 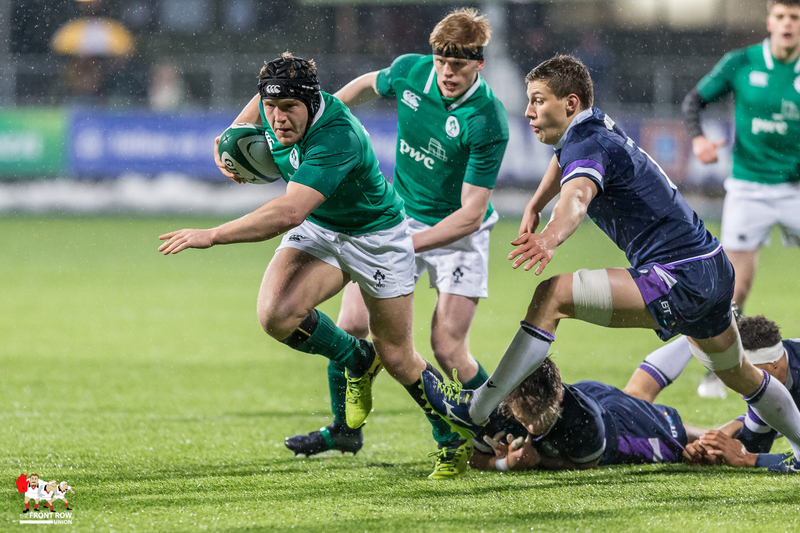 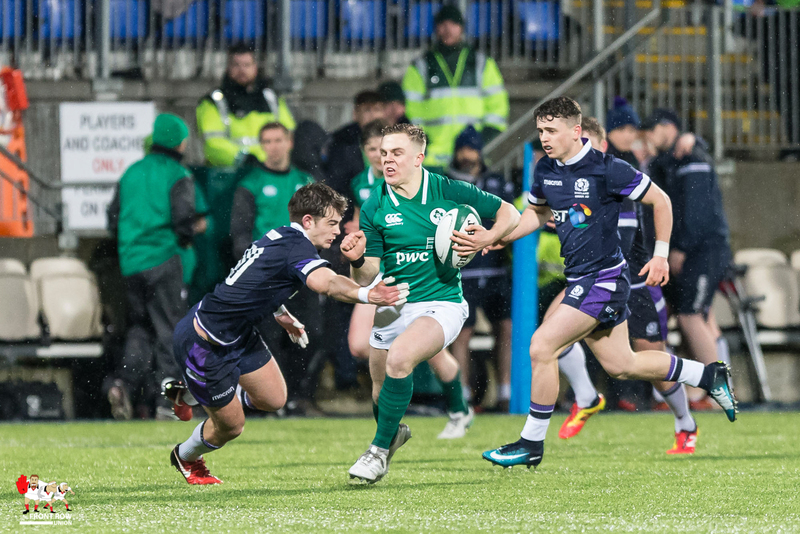 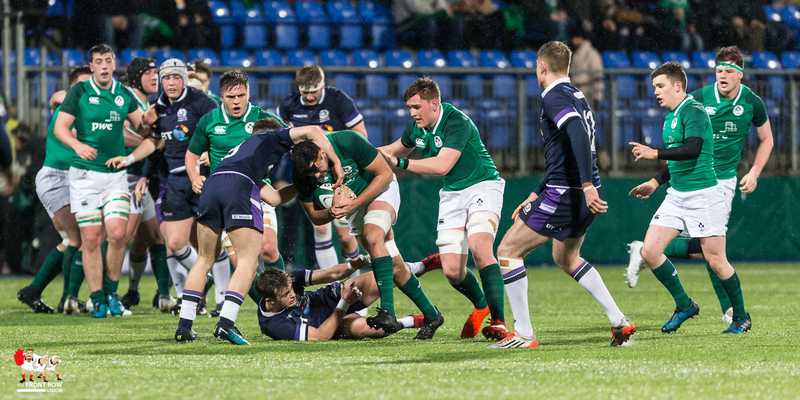 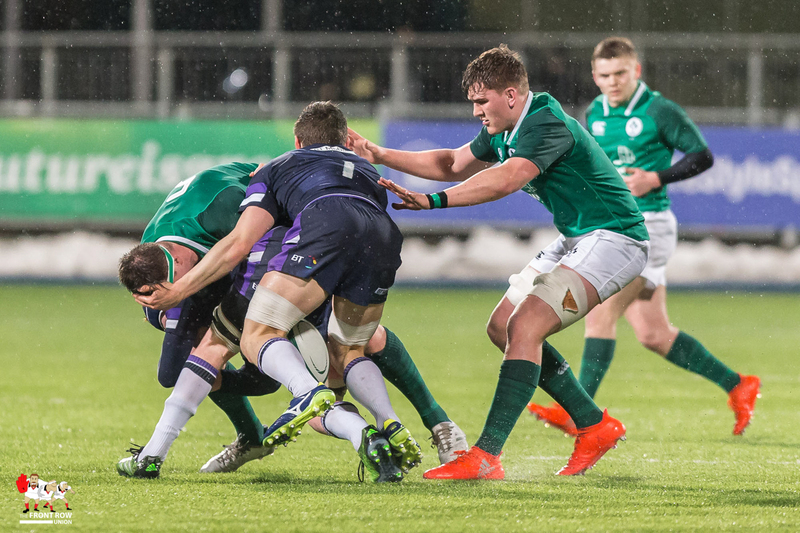 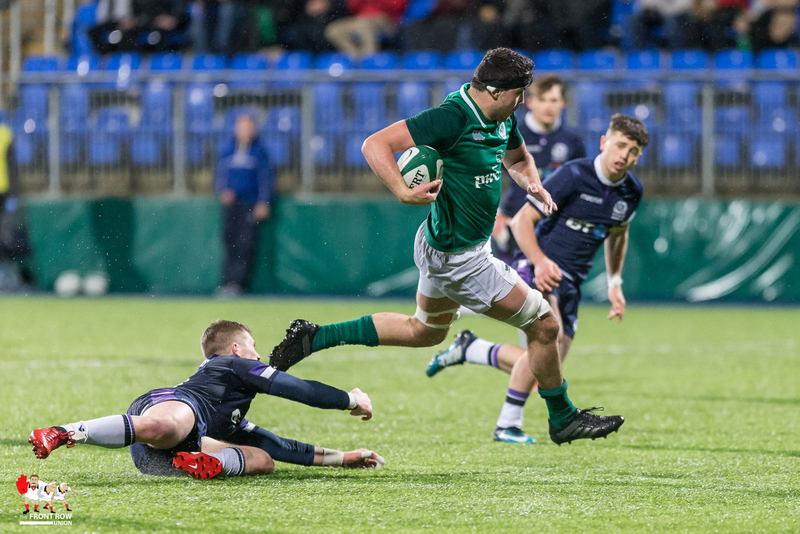 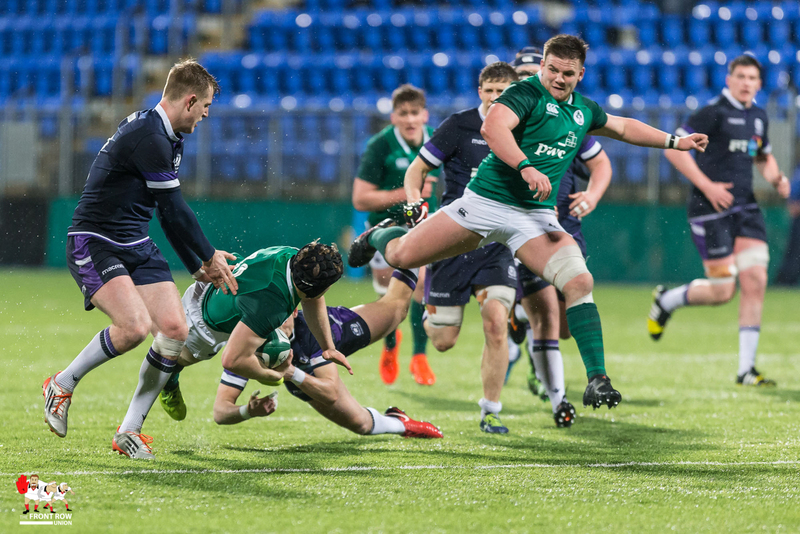 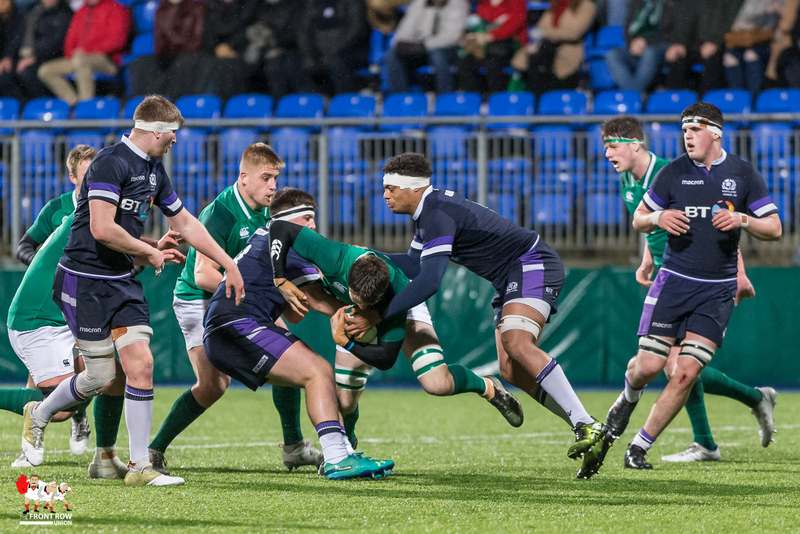 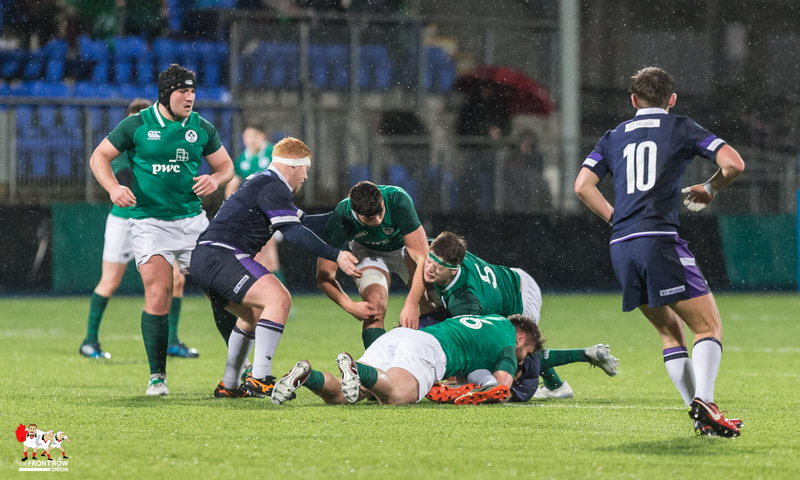 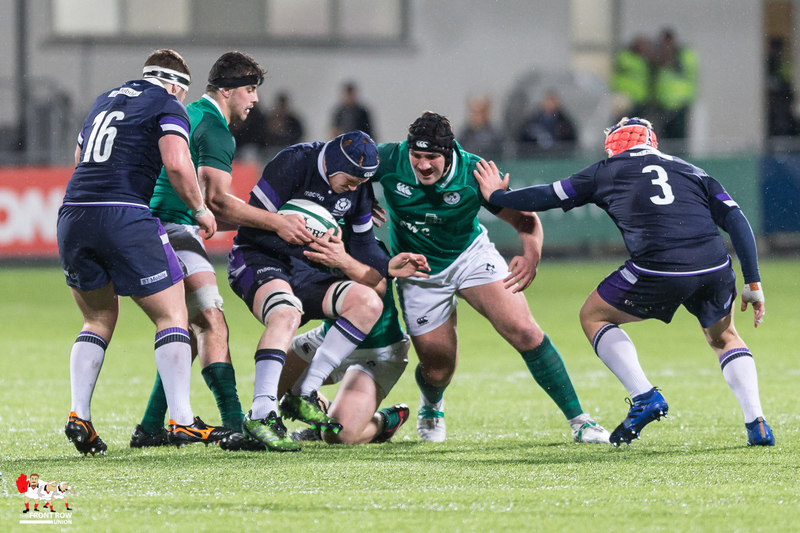 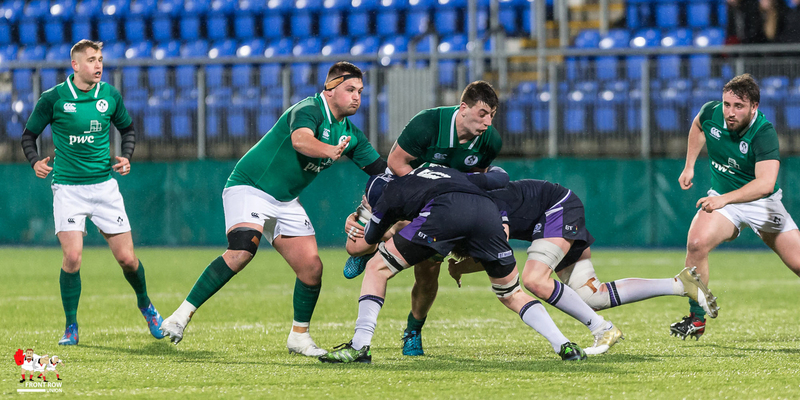 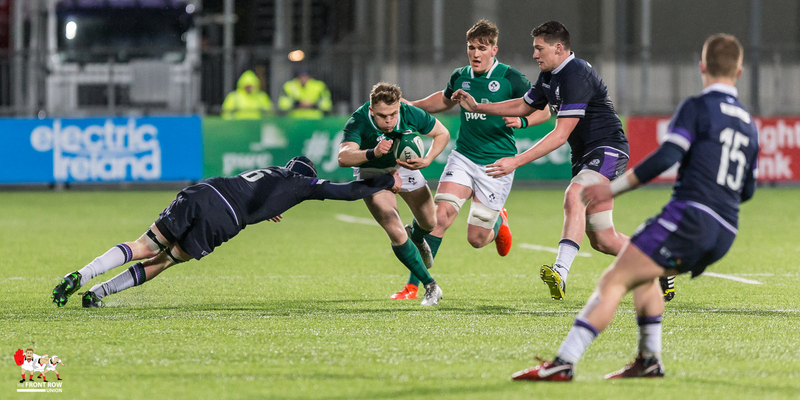 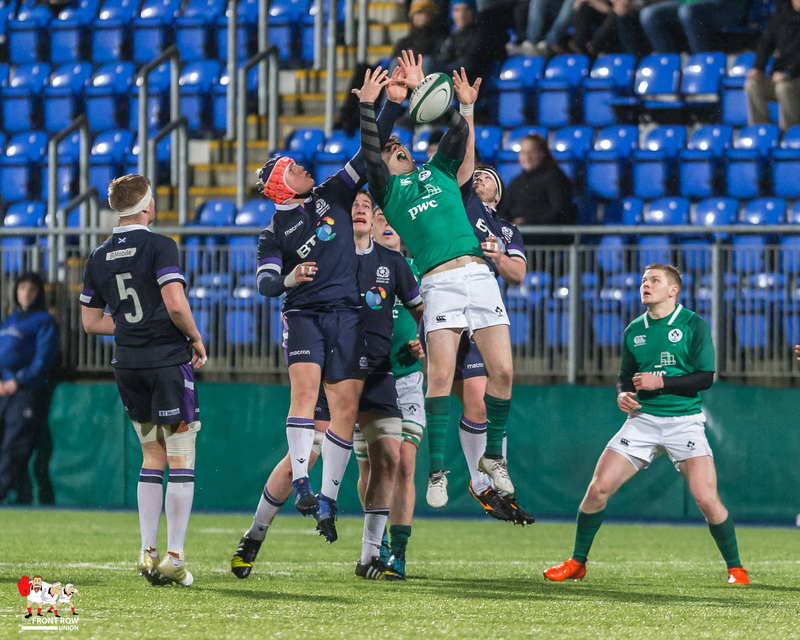 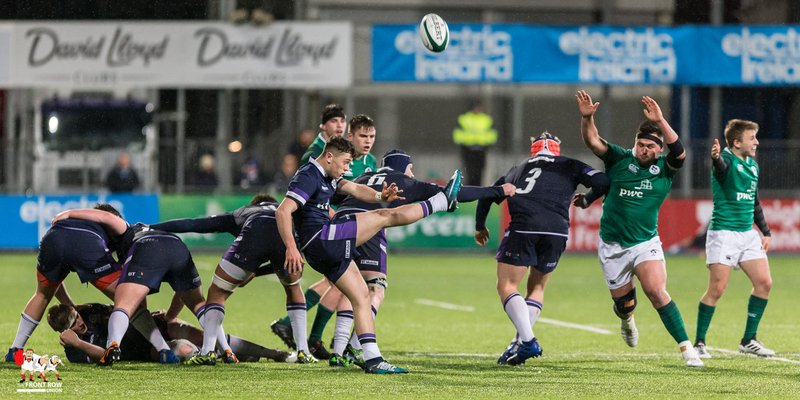 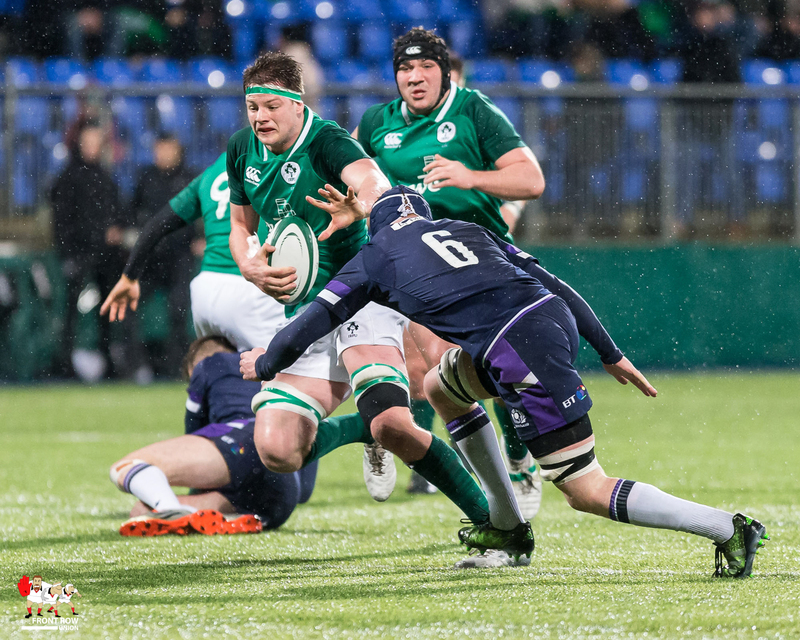 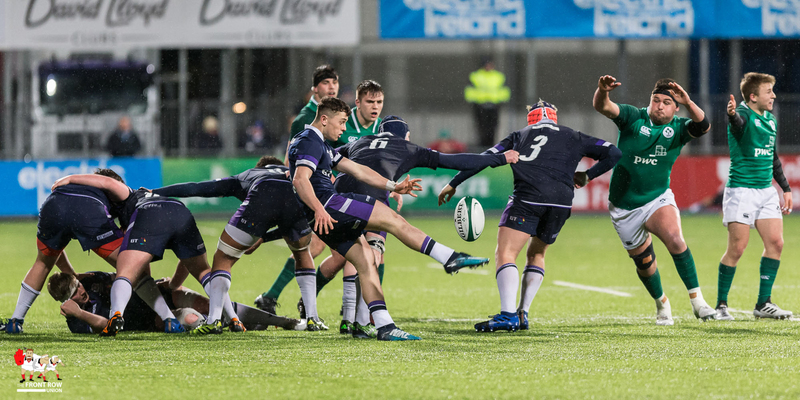 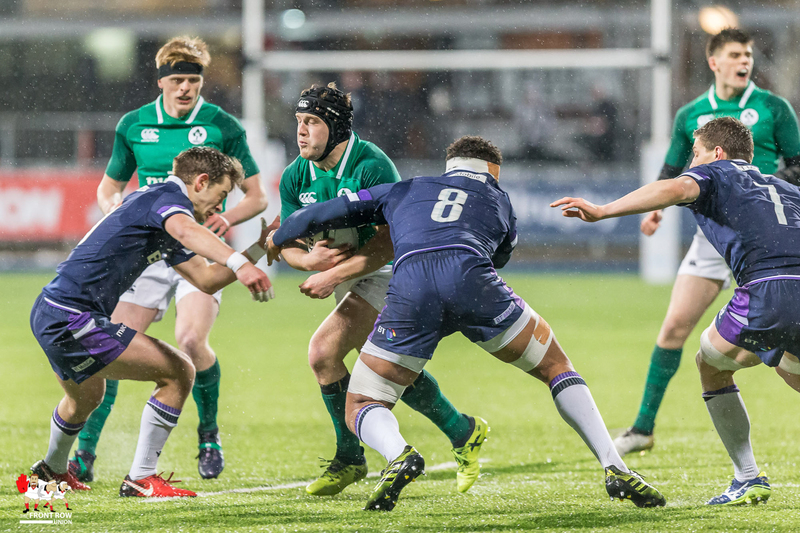 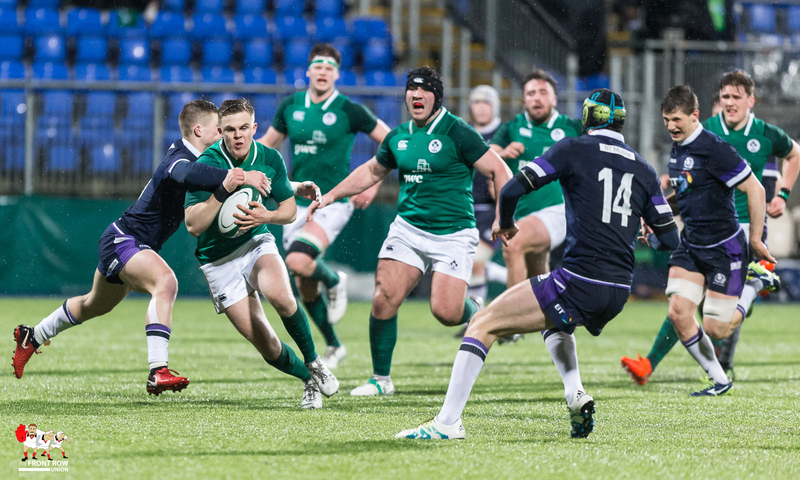 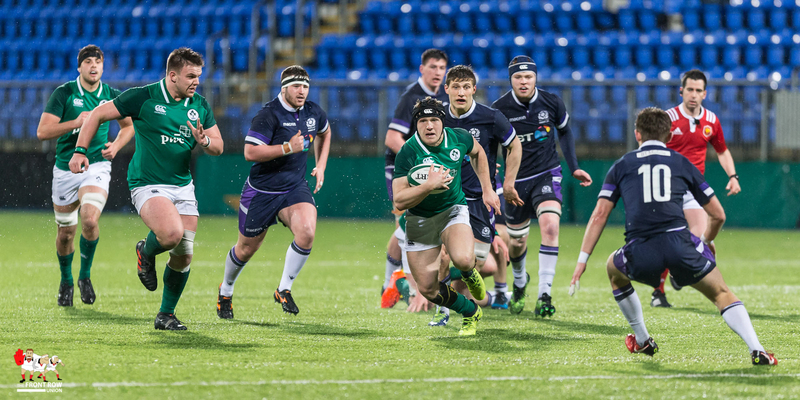 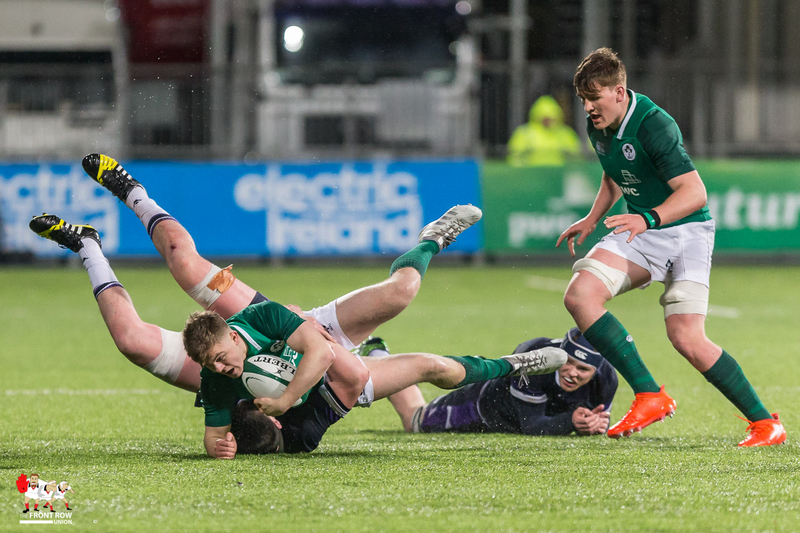 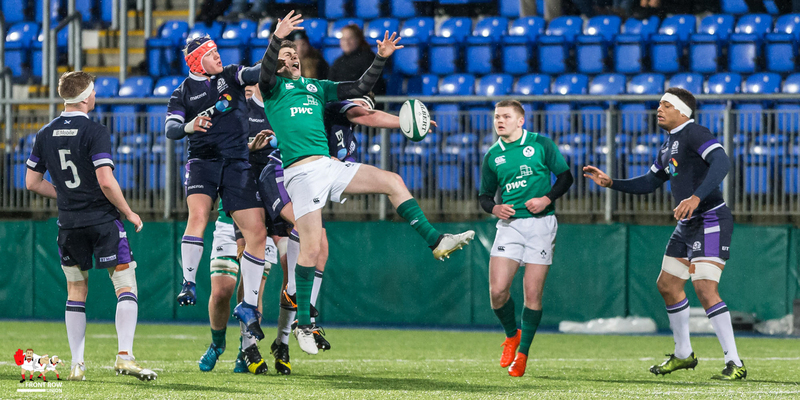 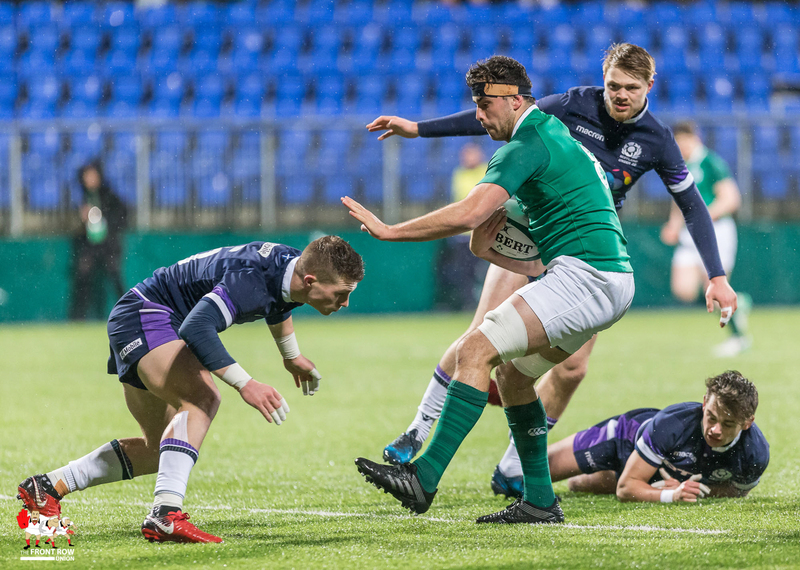 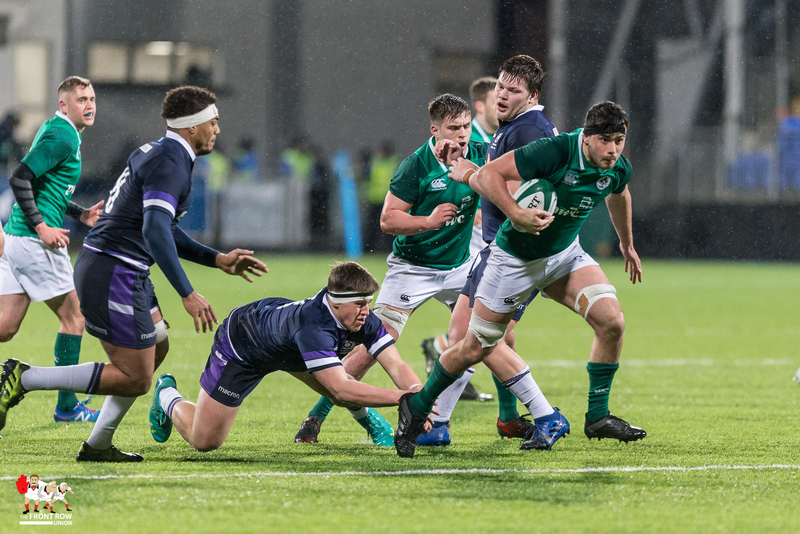 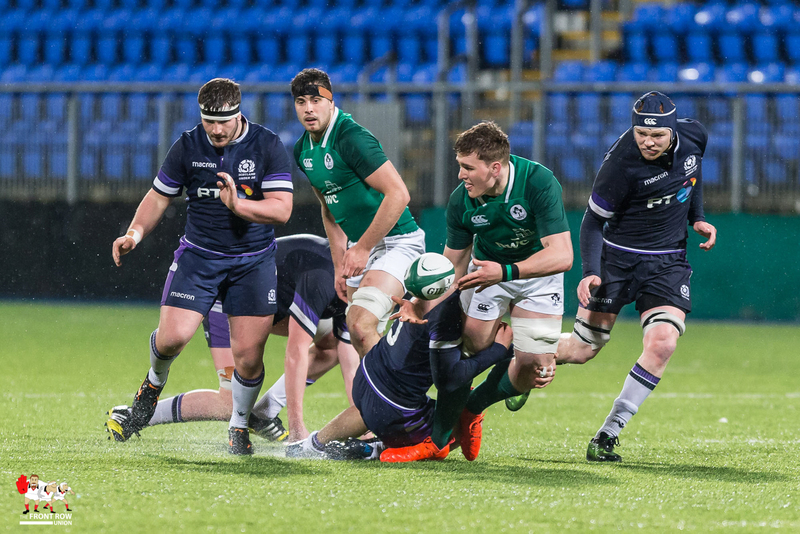 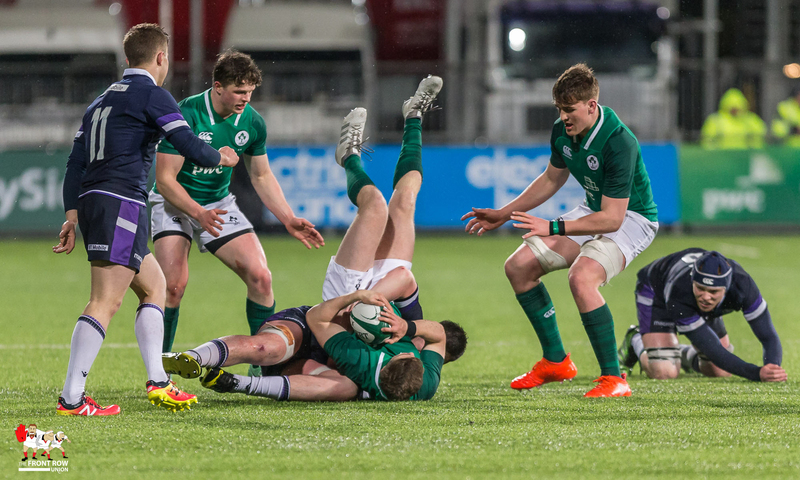 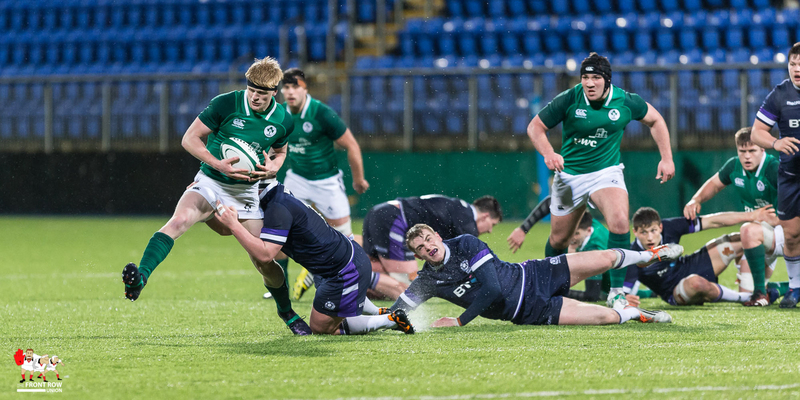 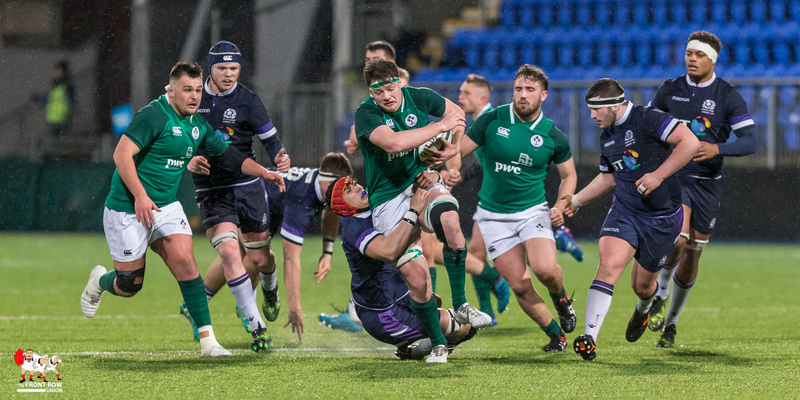 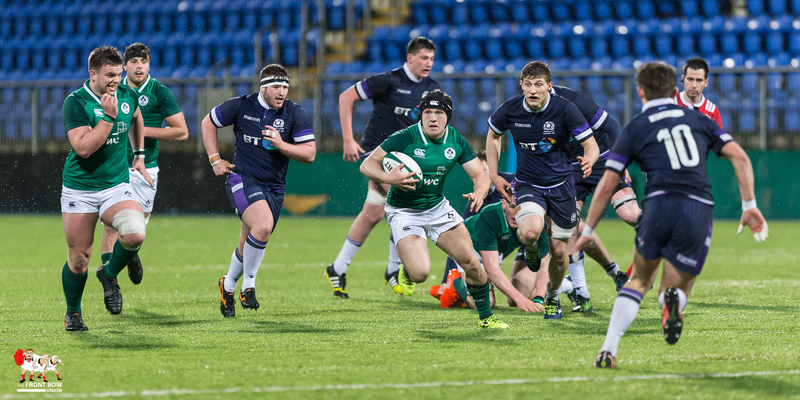 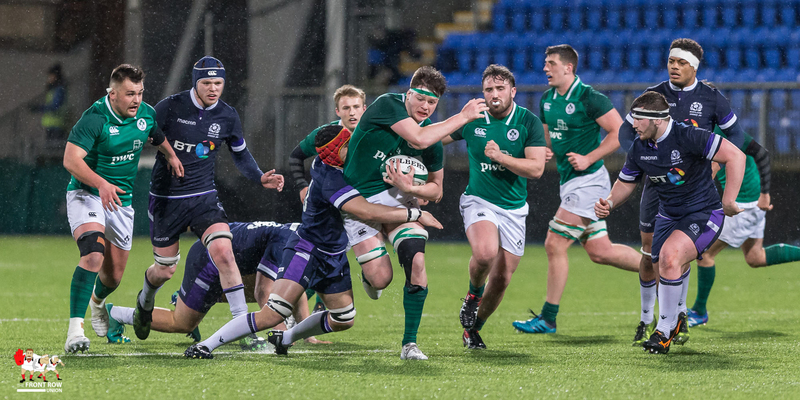 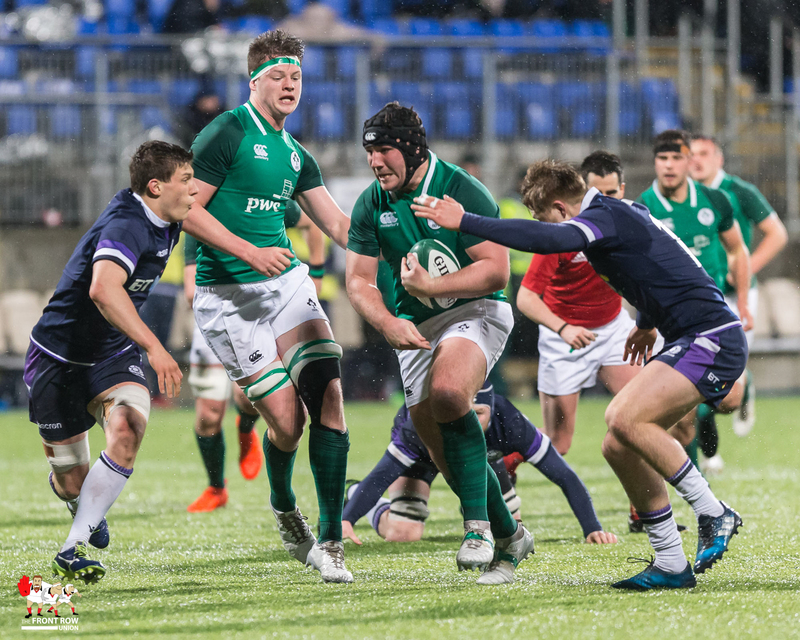 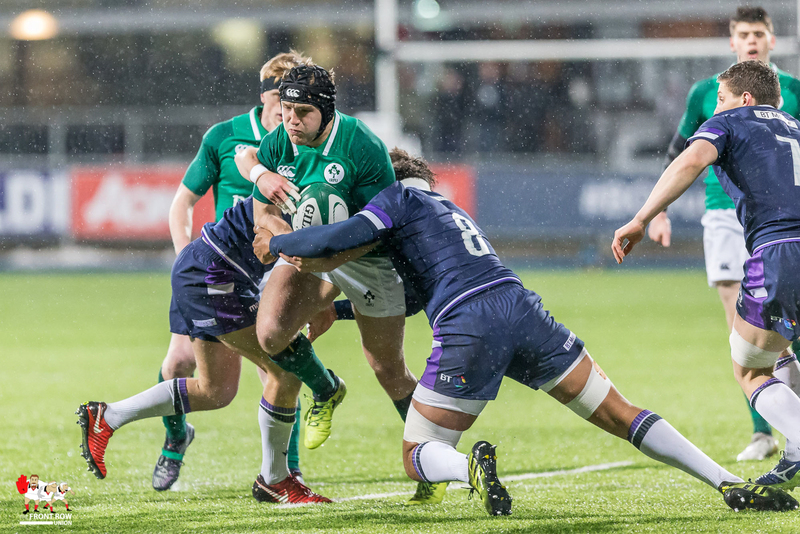 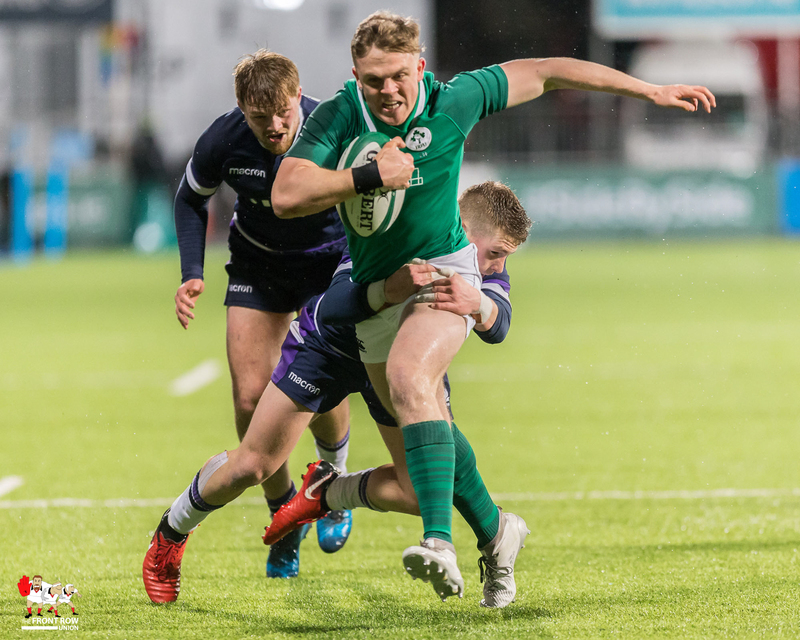 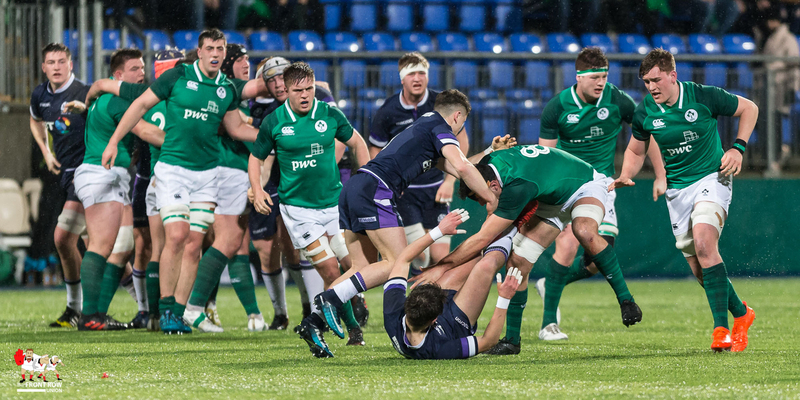 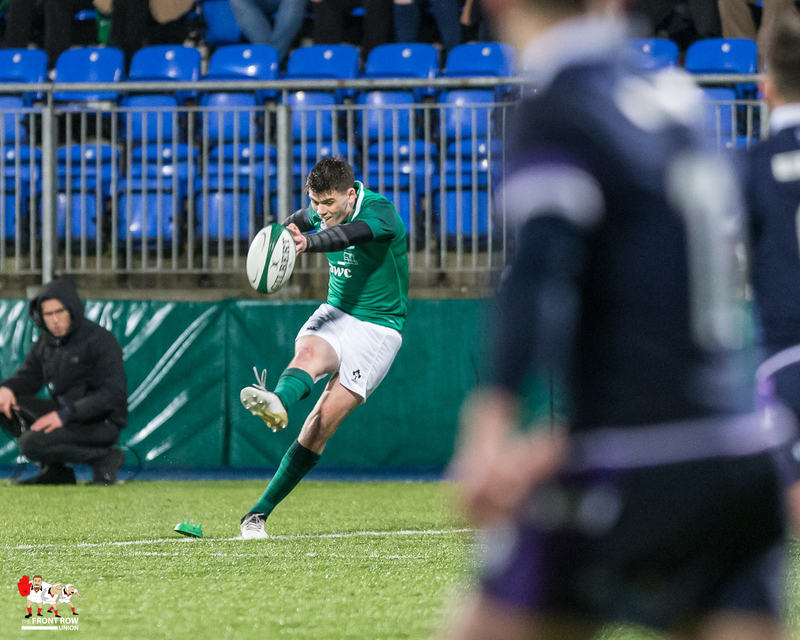 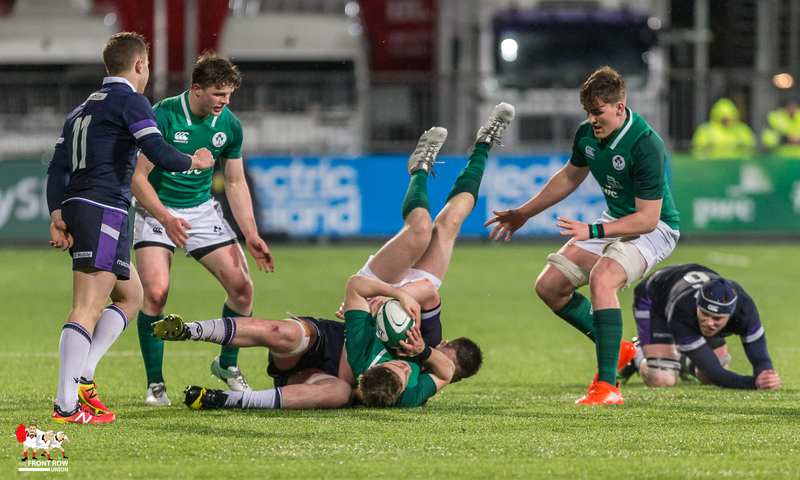 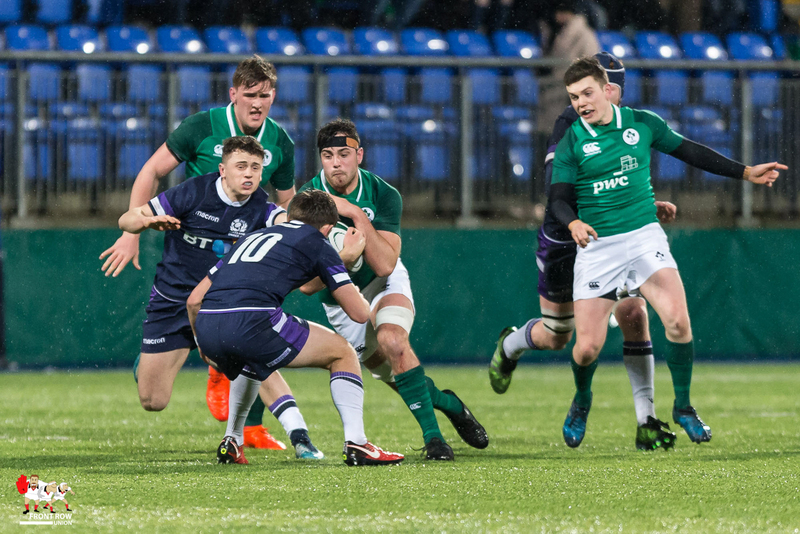 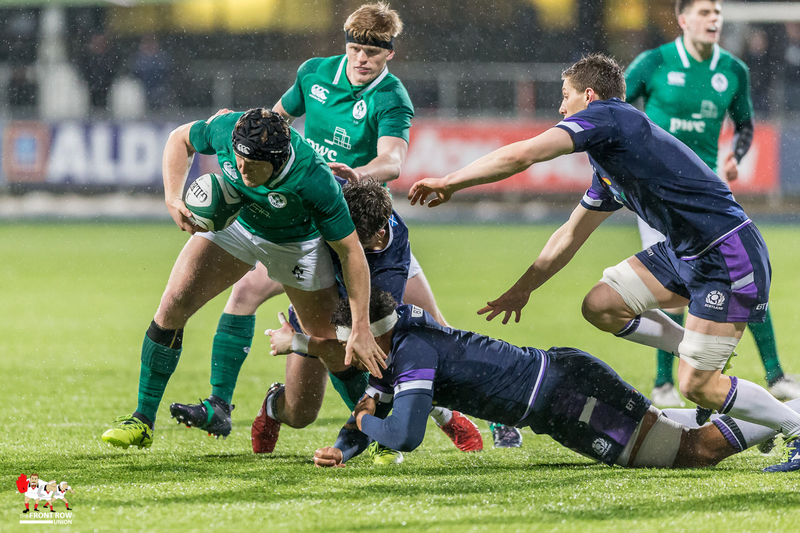 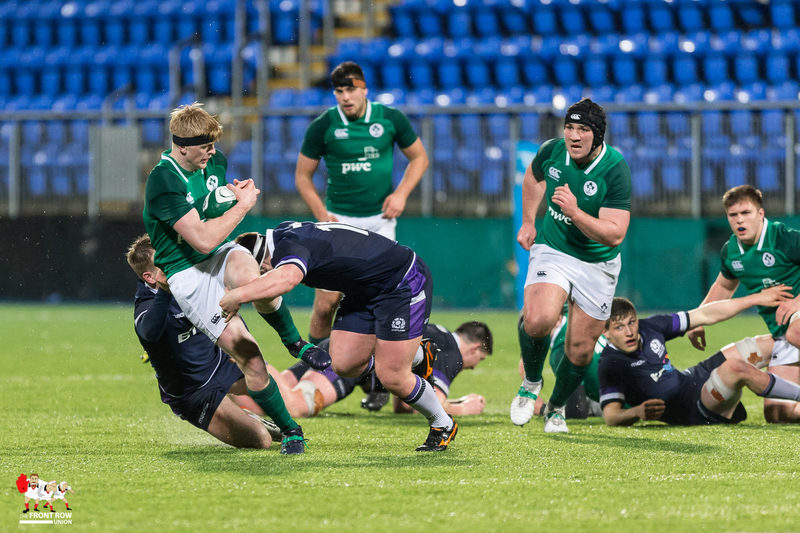 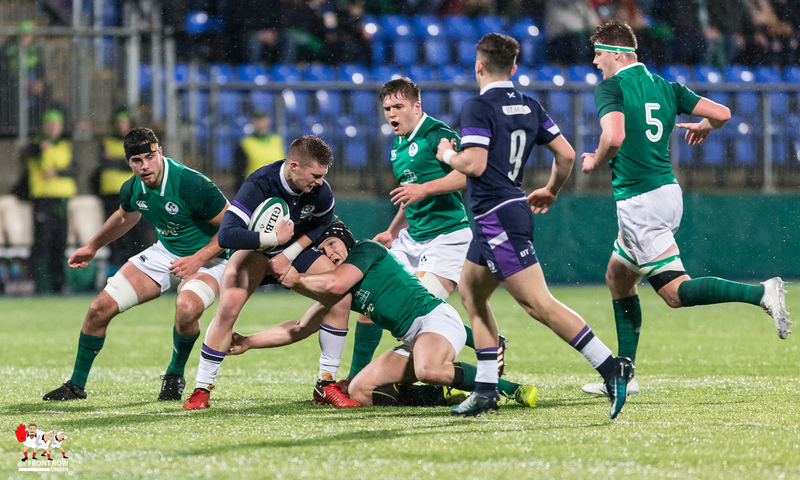 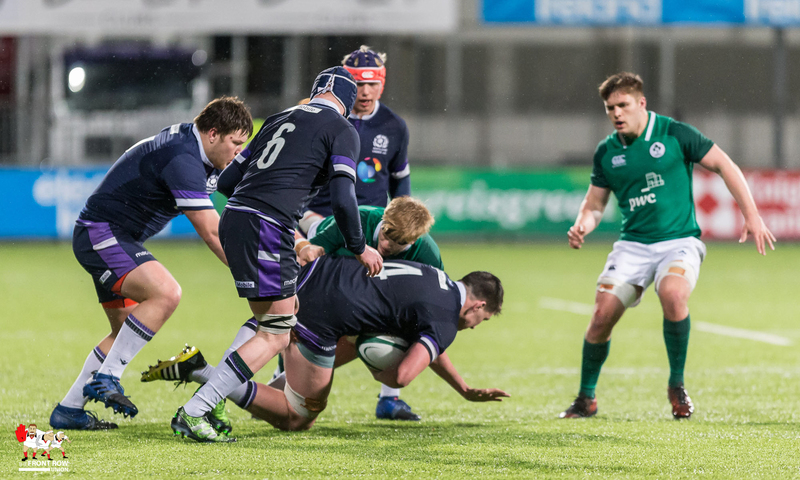 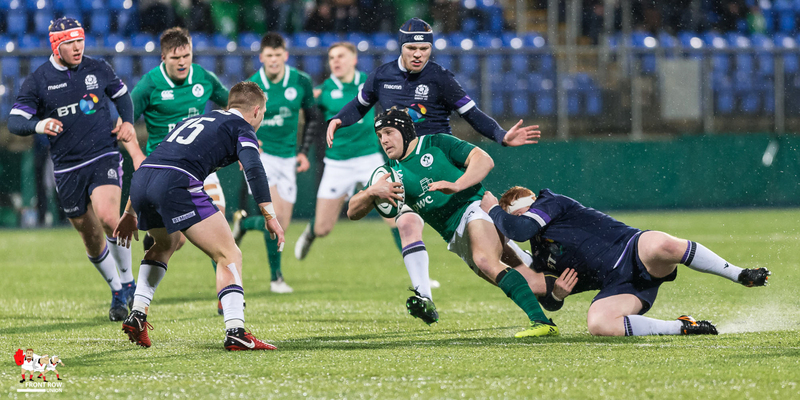 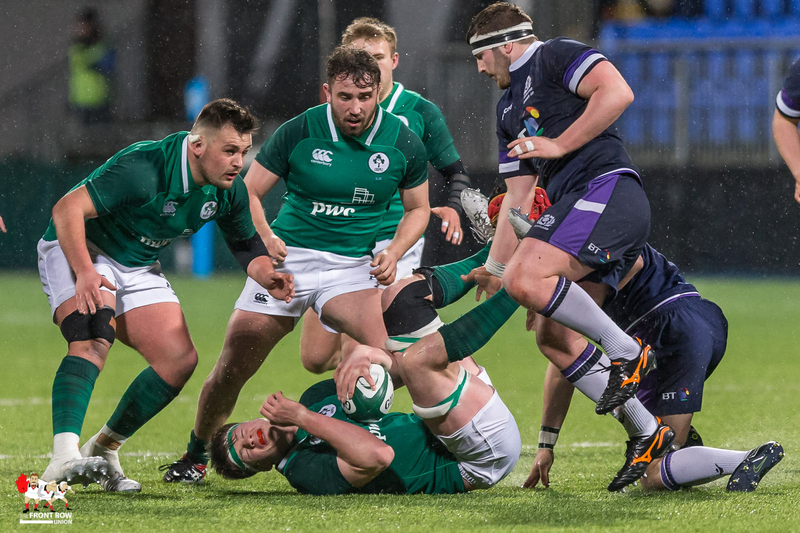 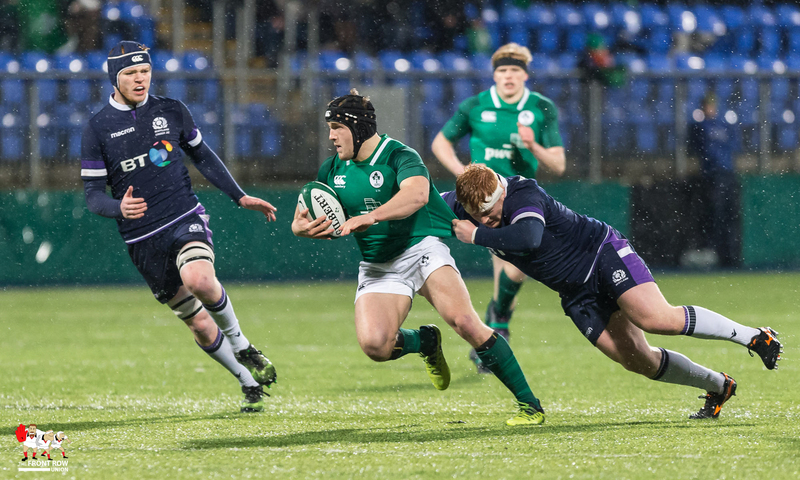 Ireland U20, Italy U20 and England U20 were the big winners this weekend, all responding to defeats in the last round to pull out a win this time round. 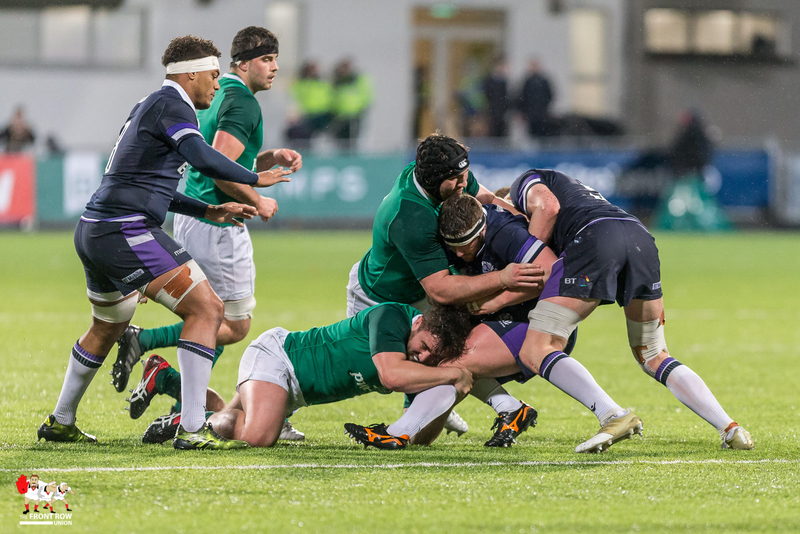 Ireland’s win against Scotland may have been expected and Italy’s win against Wales was a big response after the Italians shipped 78 points last time out me but England’s win, against what we had previously called a freakishly good France, was something of a surprise. 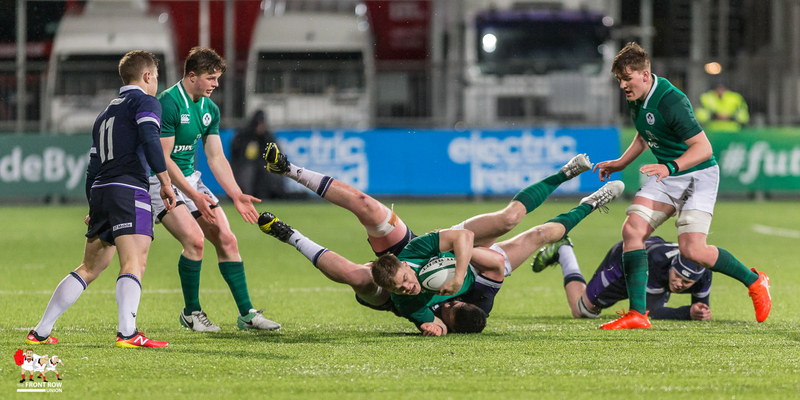 The scores from Round 4 are shown below. 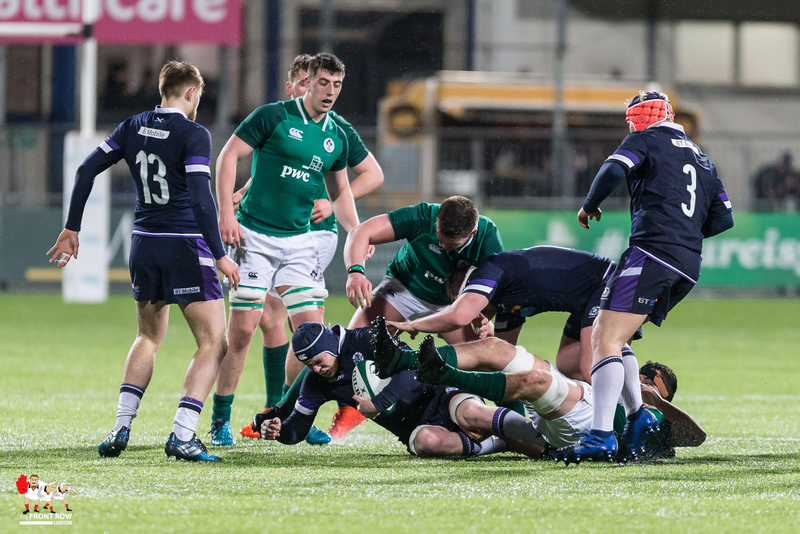 The results see Ireland and Italy move one place up the table to 3rd and 5th respectively but France remain in top spot, albeit on points difference over England in second place. 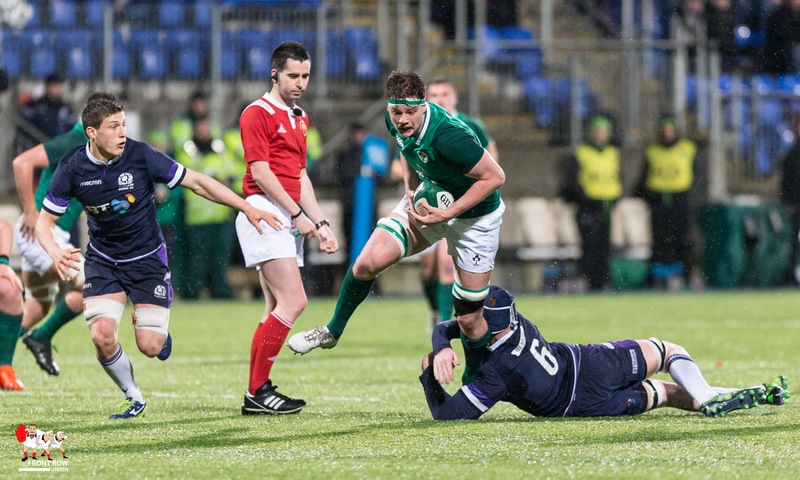 Ireland will be kicking themselves that they gave away so many sloppy tries against Wales last time out as they could have been sitting in top spot but, as it is, France, England and Ireland all go into the final round with a chance to win the Championship, though France remain strong favourites. 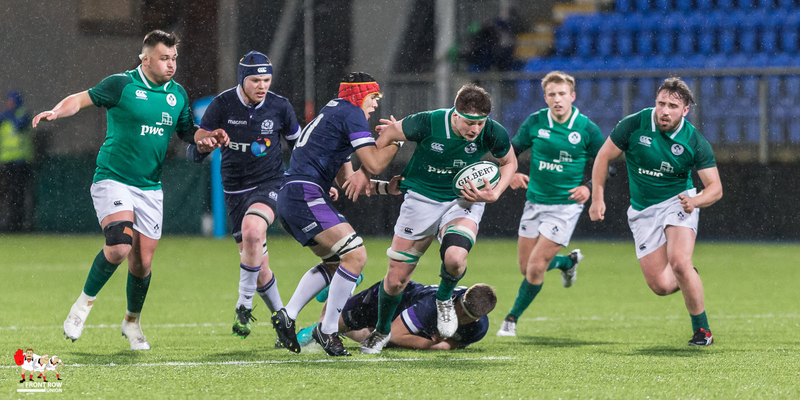 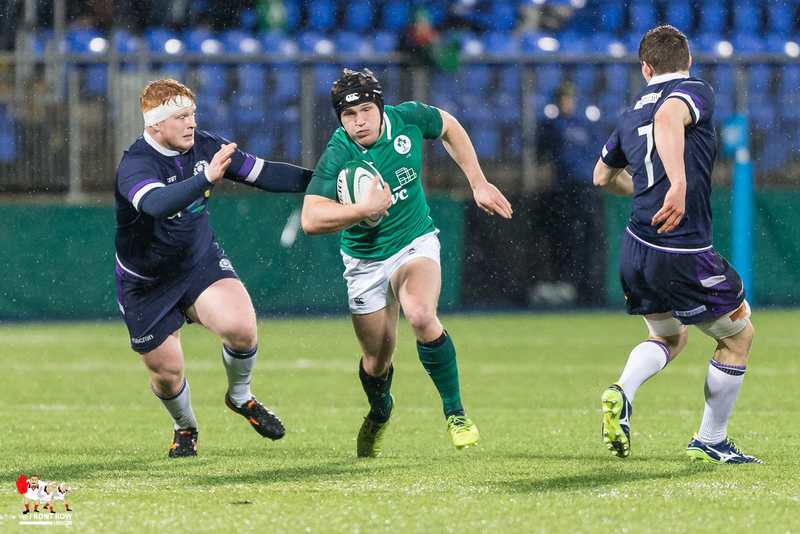 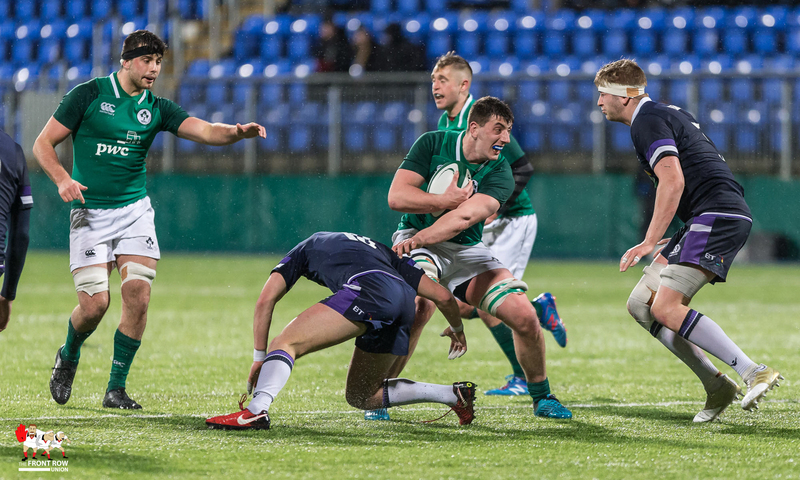 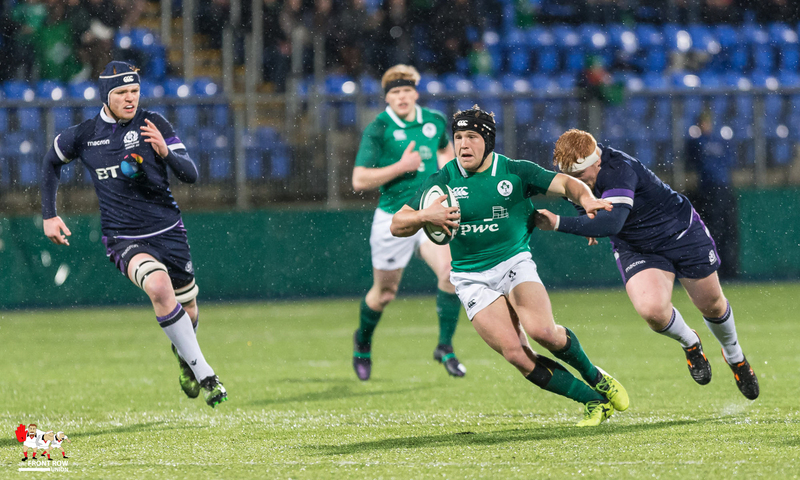 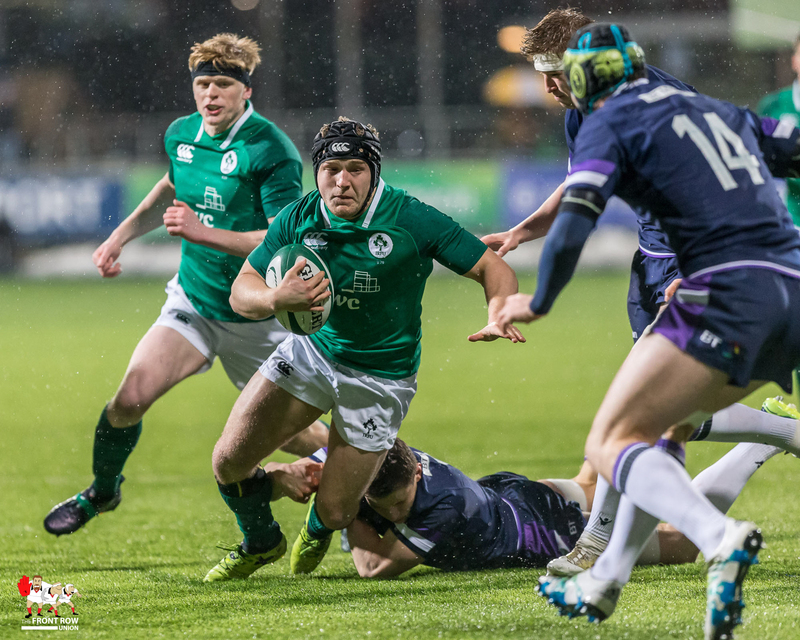 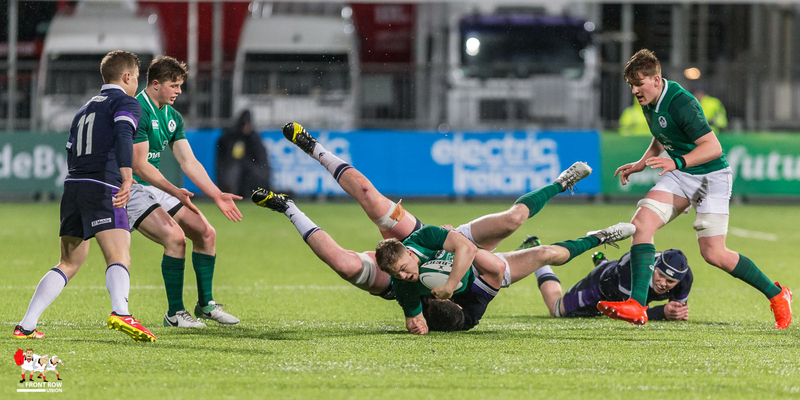 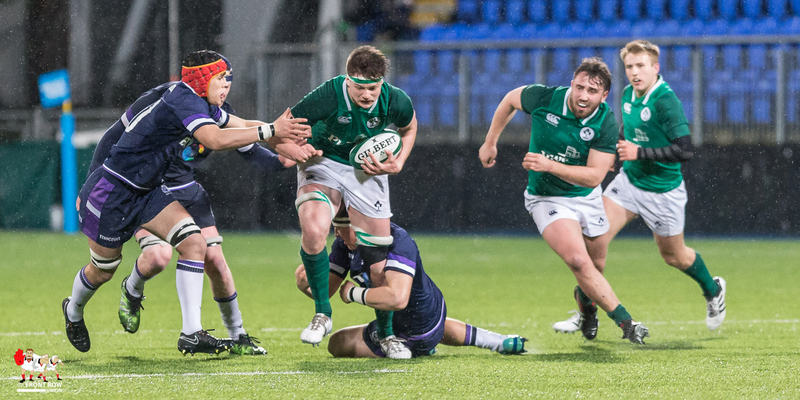 Michael Silvester and Jack O’Sullivan were the big performing Ireland players but once again it was a case of Ireland’s concentration letting them down and they will need to put in a lot of work on their defence and restarts between now and the World Rugby U20 World Championship in June. 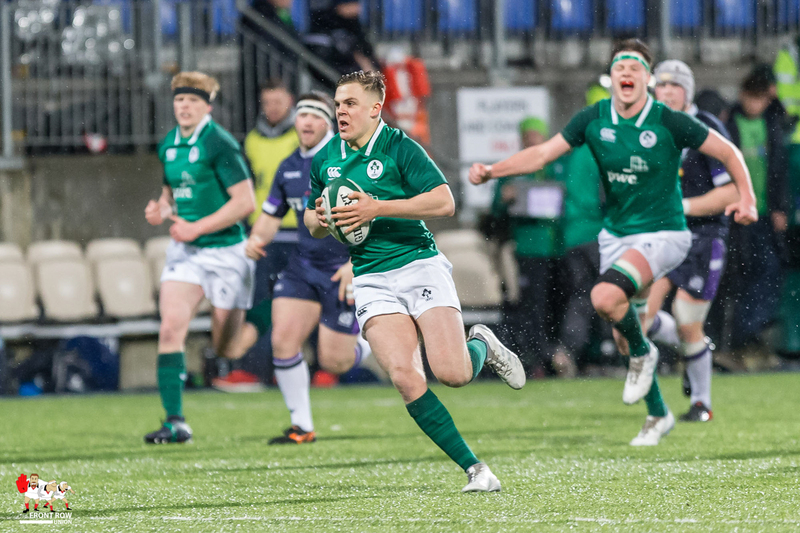 Ireland had a look at their strength in depth in this game and they will be generally pleased with what they saw as will Ulster’s Kieran Campbell and Willie Anderson who made the trip south to have a look at the large Ulster contingent. 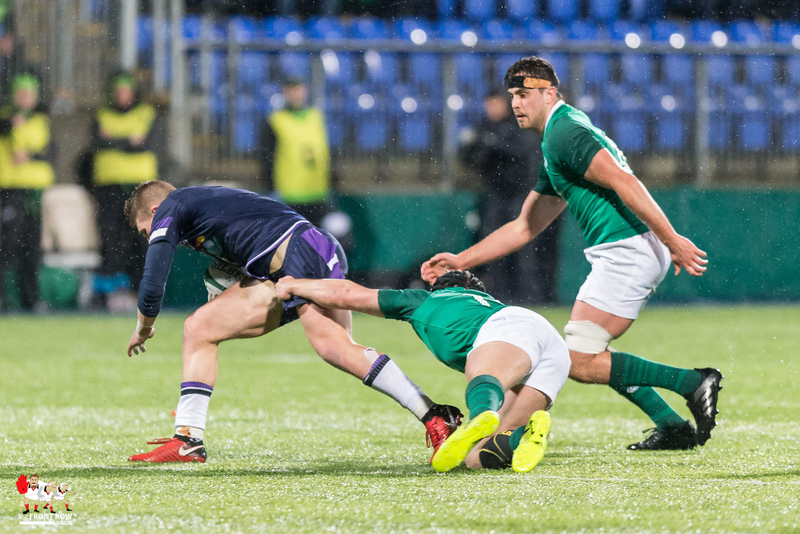 Angus Curtis was, once again, the pick of the Ulster players on display and the returning Matthew Dalton and ever present Matthew Agnew each grabbed a try to add to O’Sullivan’s brace. 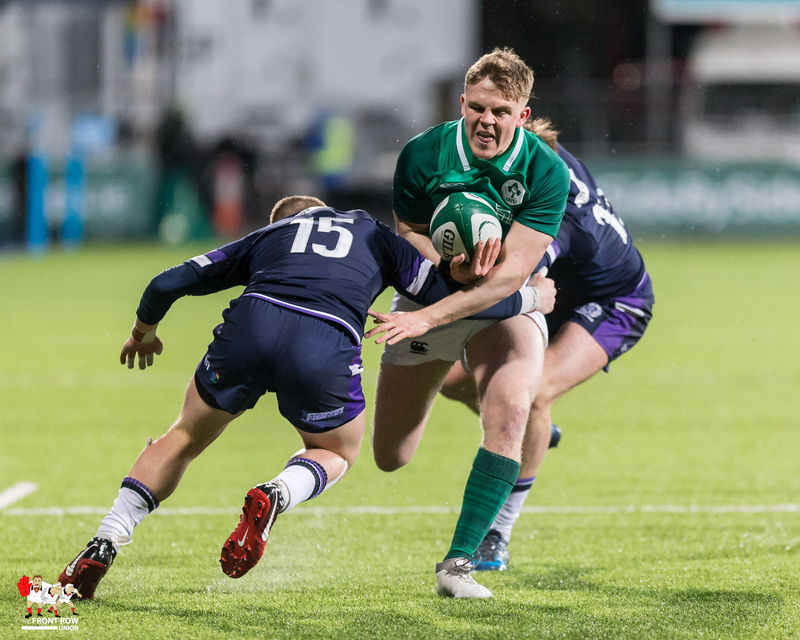 Agnew has been growing steadily throughout the competition. 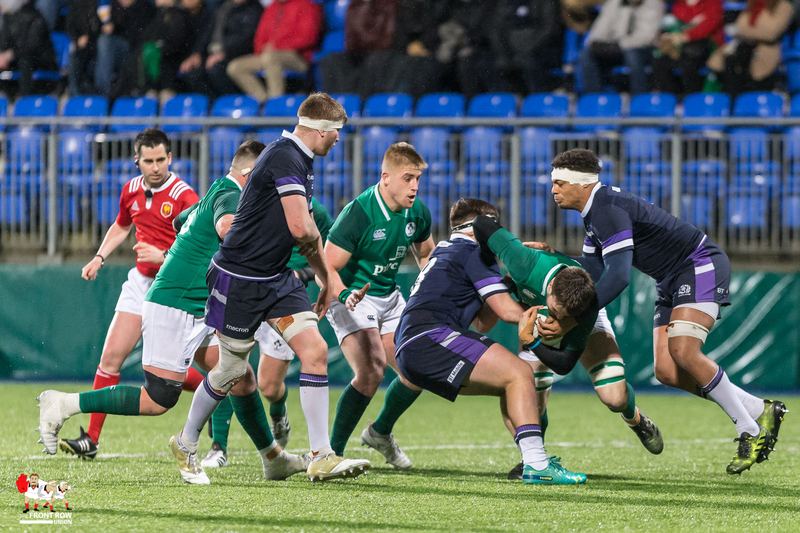 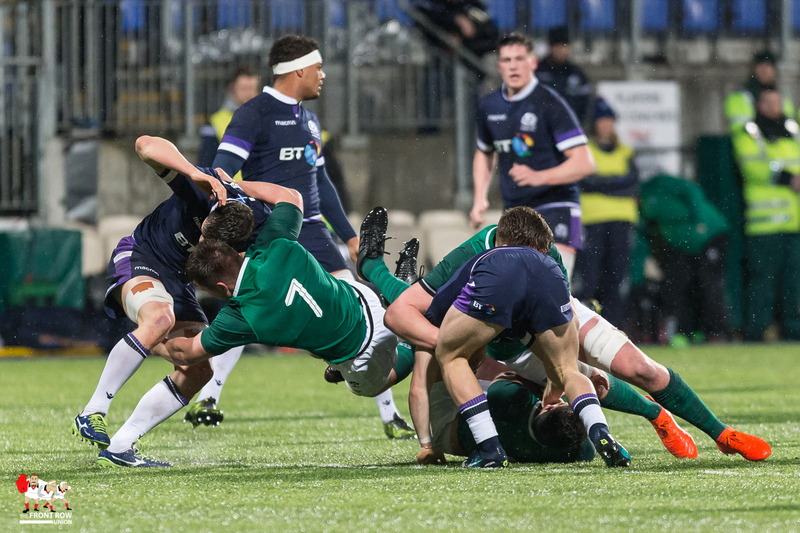 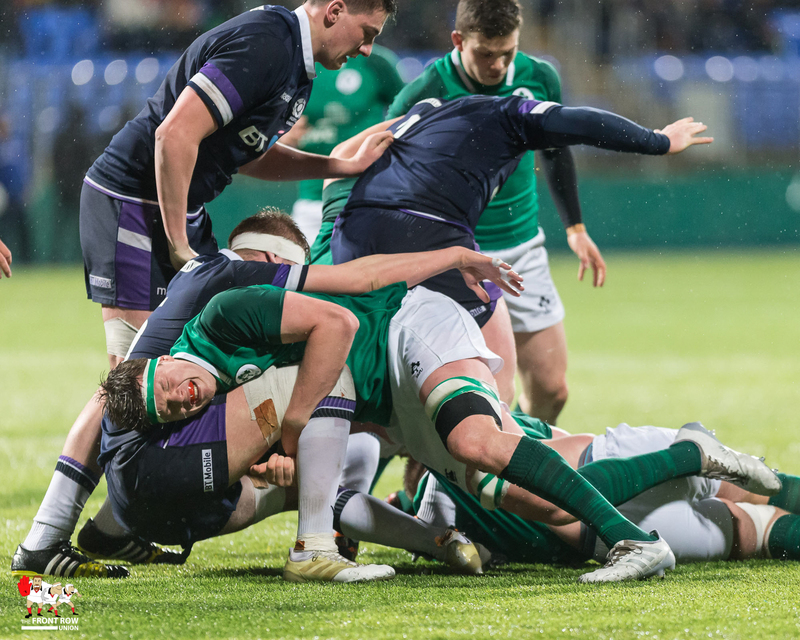 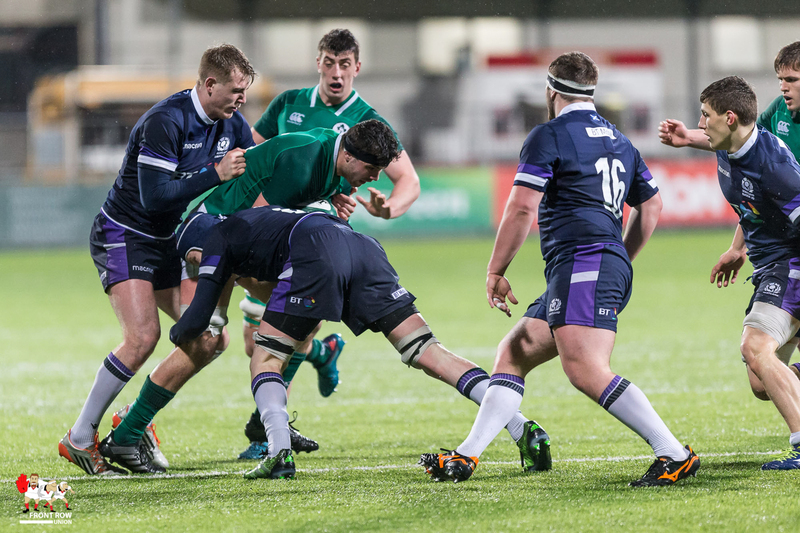 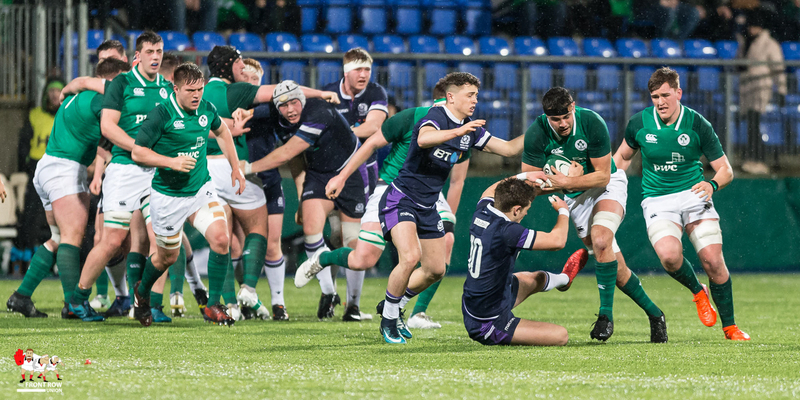 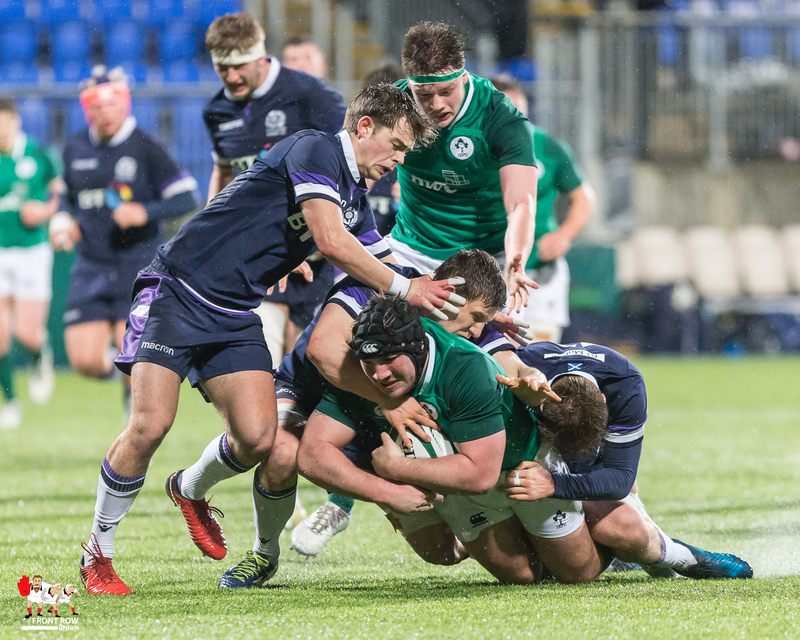 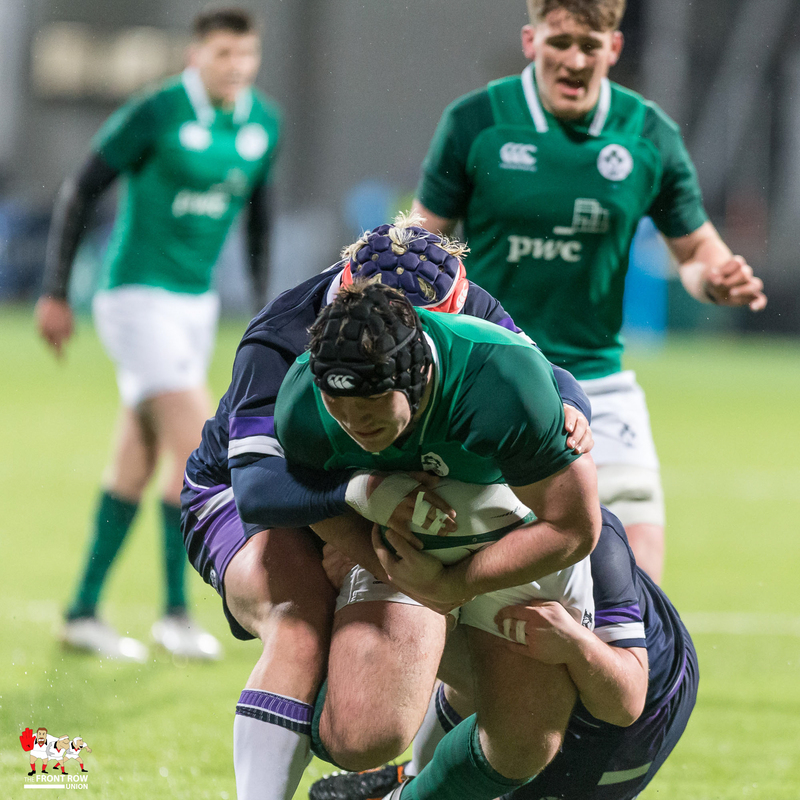 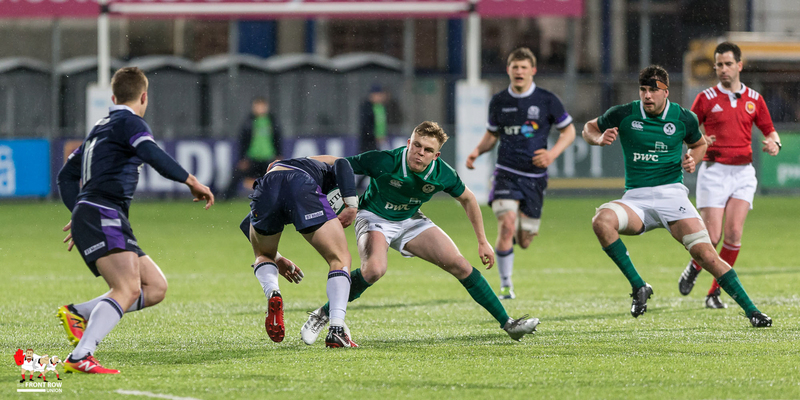 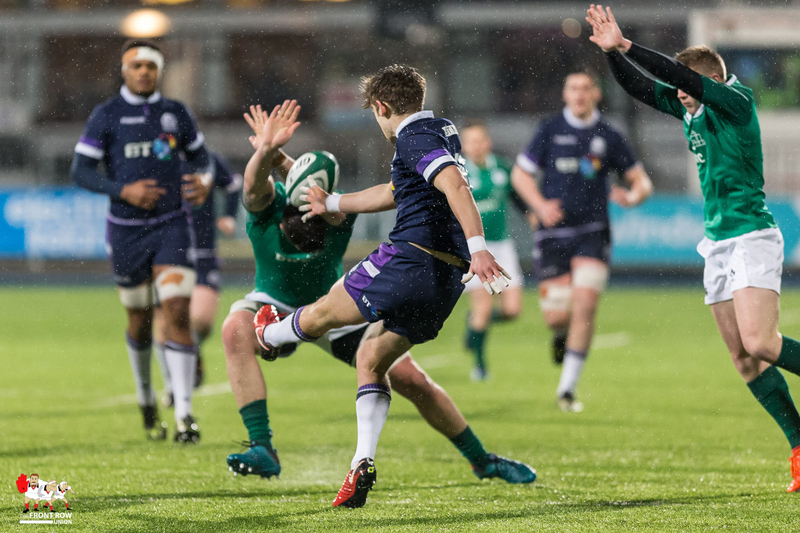 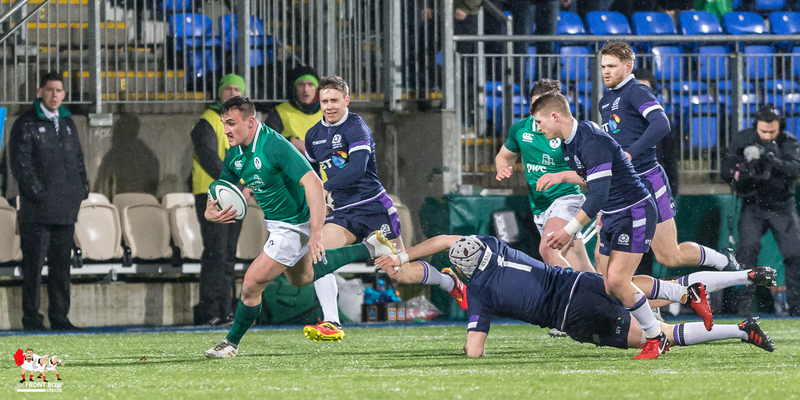 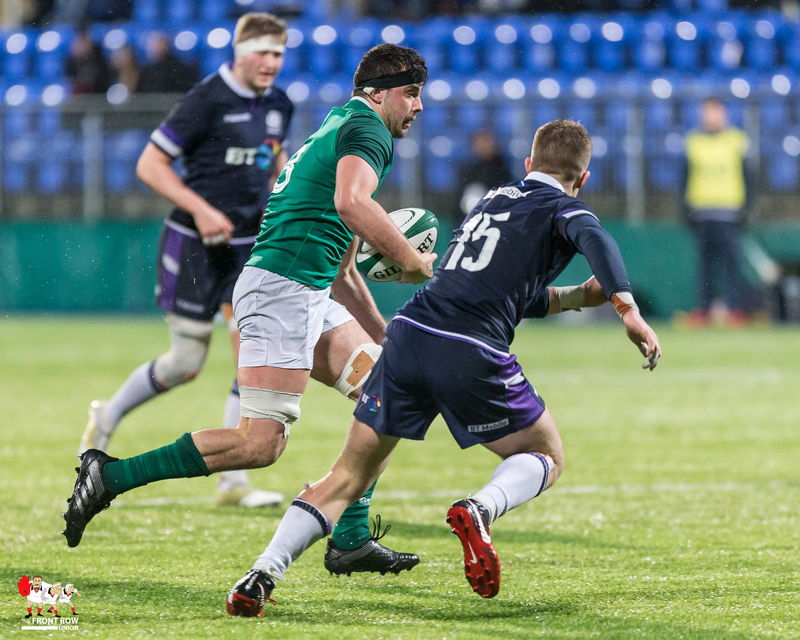 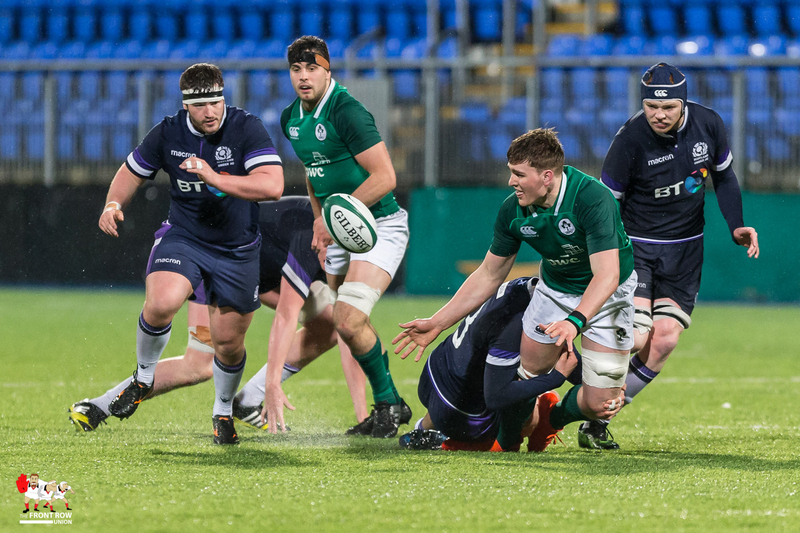 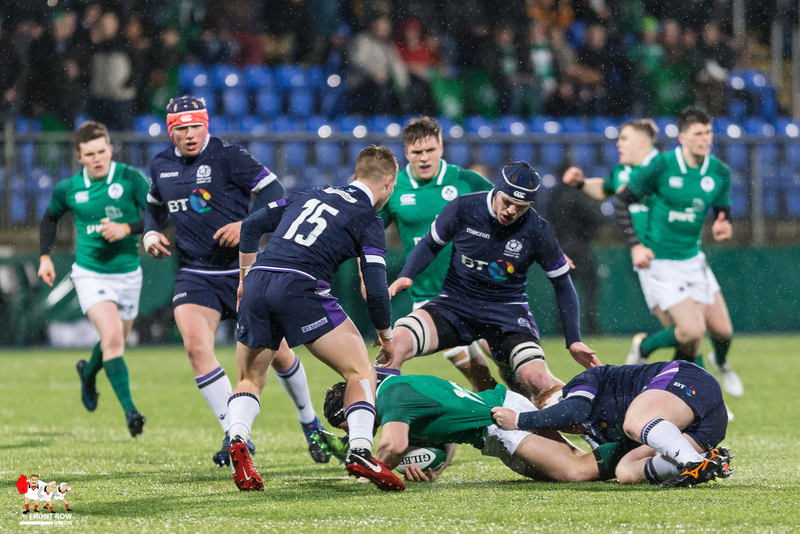 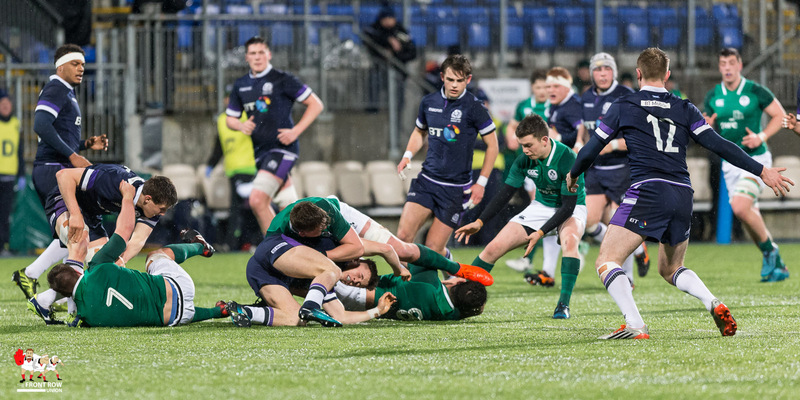 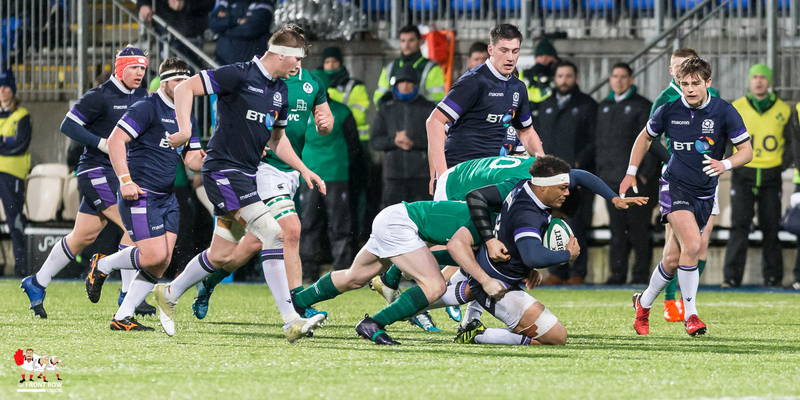 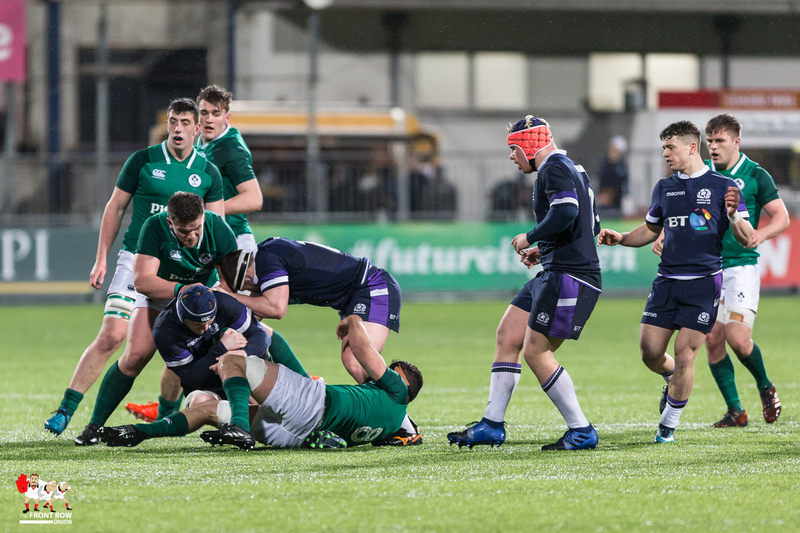 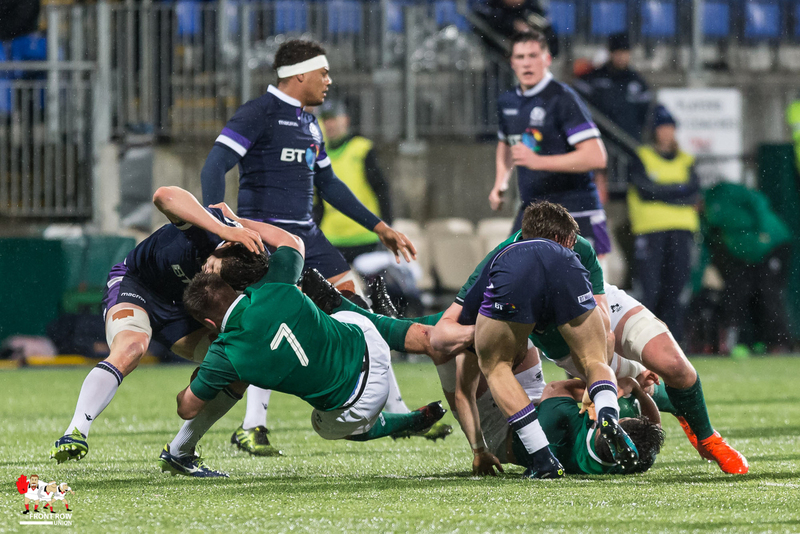 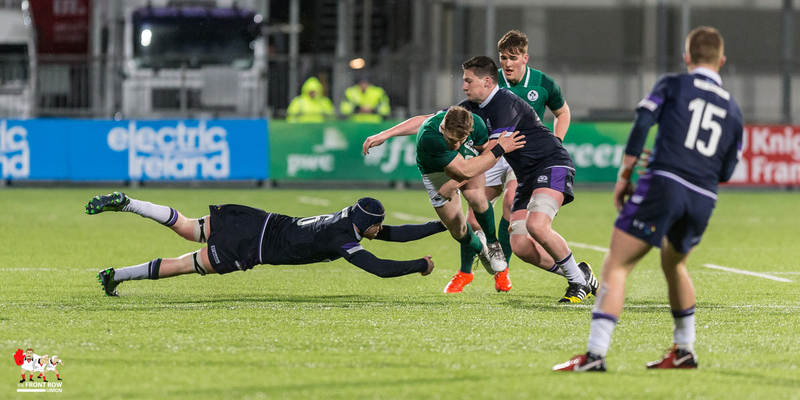 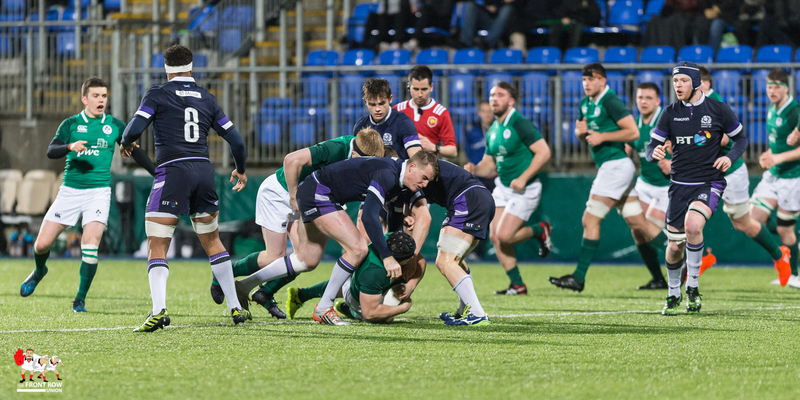 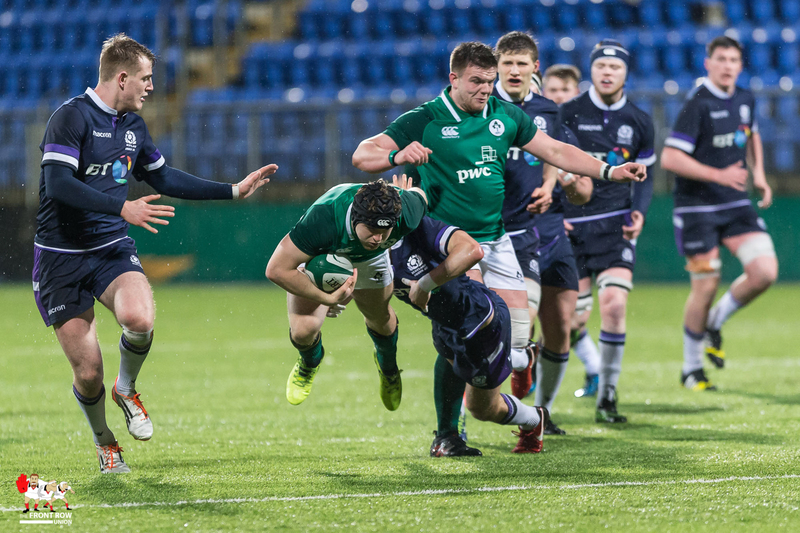 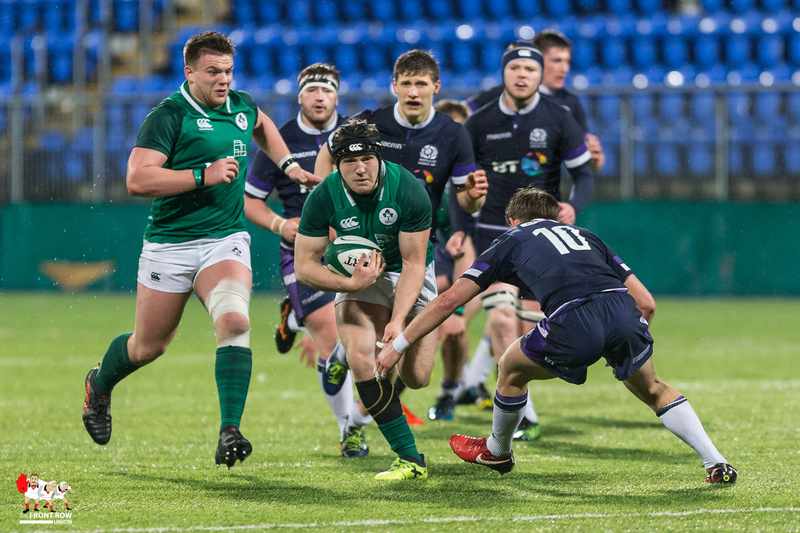 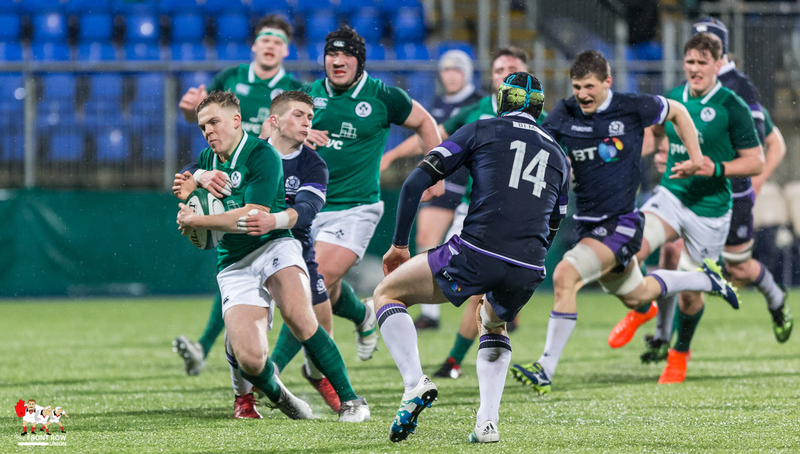 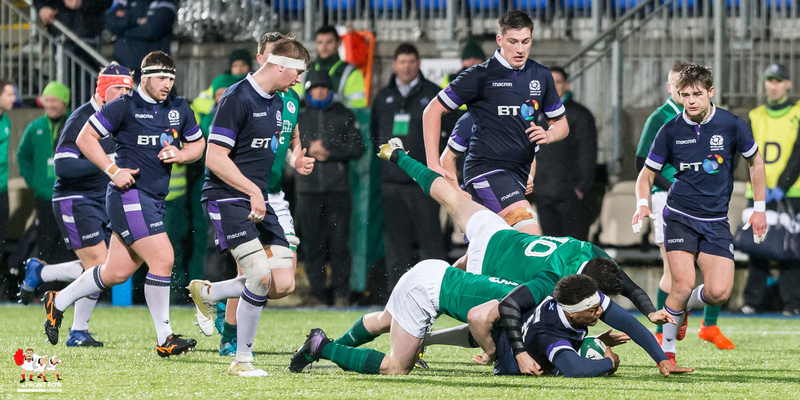 Angus Kernoghan will be pleased that he got a full 80 minutes this time though there was one noticeable miss field in the lead up to a Scotland try but it was a pleasing enough performance. 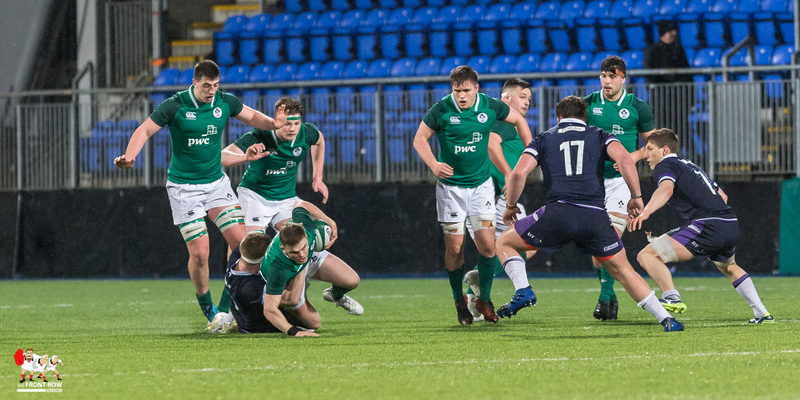 James Hume came on for Mark Keane on the 66th minute and Tom O’Toole had a couple of strong carries in his 64 minutes on the pitch. 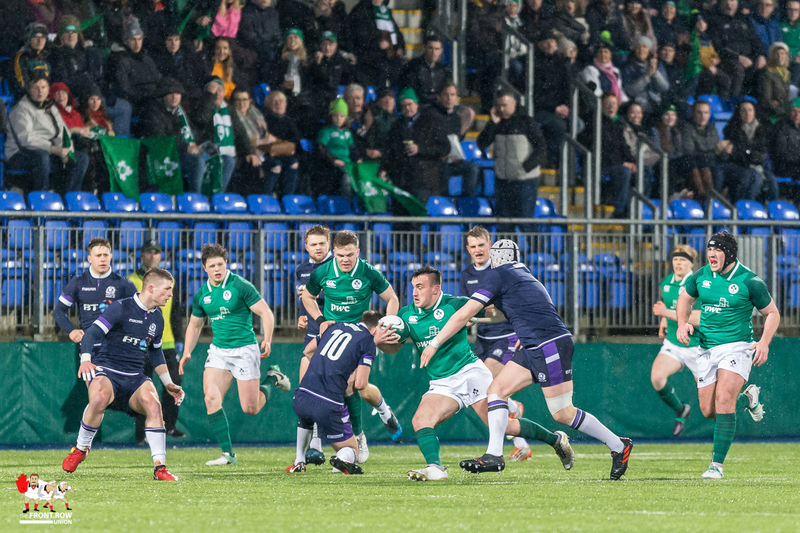 Johnny Stewart was his usual composed self when released from the bench on the 64th minute and debutant Joe Dunleavy added a bit of grunt before he and Dalton were replaced in the closing minutes. 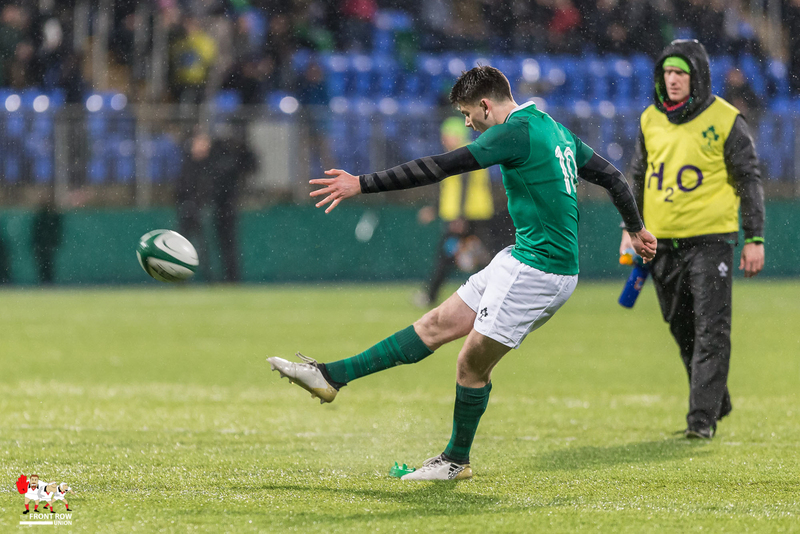 So, all to play for next week when Ireland travel to the Ricoh Stadium to face England. 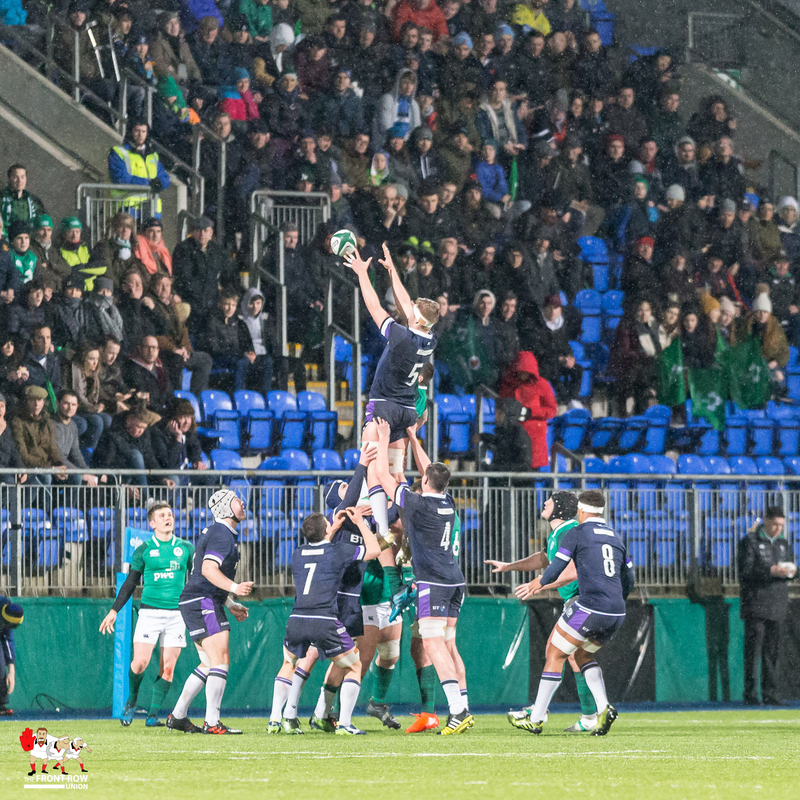 It’ll be an interesting team selection.